By Chris Lang, published by WRM, December 2002. This report starts with an overview of the current situation in Vietnam and an analysis of some of the problems presented by the rapid expansion of fast-growing tree plantations in the country. In the last decade, the Vietnamese government has had two major programmes aimed at promoting “reforestation”: Programme 327 from 1992 to 1998 and the Five Million Hectare Reforestation Programme, which started in 1998. The second section looks at these two programmes, together with the effect of recent amendments to the Land Law and other laws on plantation development. In recent years, international support to the forestry sector in Vietnam has grown. The third section looks at some of the main actors and their projects in supporting the development of fast-growing tree plantations. Section four profiles the pulp and paper industry in Vietnam and the final section looks at some of the consultancies and research organisations involved in the forestry sector in Vietnam. a mill south of Hanoi producing wrapping paper (Jerve et al 1999: 48). In addition, there were more than twenty smaller mills producing a total of 12,000 tons a year (Jerve et al 1999: 48). Today, Vietnam has 94 paper and board mills and 27 pulp mills, producing a total of about 360,000 tons of paper and board a year (PPI 1999). Dong Nai (14,000 tons a year) also in Dong Nai province. The largest single producer of paper products is the state-owned Vietnam Paper Corporation, Vinapimex. Vinapimex has 20 subsidiaries and 11 factories producing a total of about 170,000 tons a year (Export America November 2001: 5). In 1999, Vinapimex was the biggest loss maker in the country with nine of its member companies reporting a loss for the year (VDC online 2 February 2000). In addition to paper mills, a series of mills around the coastal city of Danang, produce wood chips mainly for export to Taiwan and Japan. These pulp, paper and wood chip mills compete for raw materials. In the north of the country, wood is transported from as far as 300 kilometres to the Bai Bang mill. The mill still suffers a shortage of raw material, which became worse in the late 1990s when a Taiwanese company built a wood chip mill at Hai Phong and offered to pay more than Bai Bang. Farmers harvested their plantations and sold the wood to the new mill. After 18 months the wood chip mill closed because of lack of raw materials (Fortech 1998: 17). The Vietnamese government is currently carrying out a large scale “reforestation” programme and produces frequent reports claiming that ever increasing areas of the country are covered in “forests”. Although there is a tradition of tree planting in “homegardens” in which farmers plant a wide range of tree species (Le Trong Cuc 1992: 27) much of the planting taking place today in Vietnam is of fast-growing trees aimed at producing raw material for the pulp and paper industry or woodchips for export, or simply inflating the area of “forests” to deflect attention from the actual rate of deforestation in the country. Estimates of tree planting rates in Vietnam are inconsistent and rarely differentiate between industrial fast-growing tree plantations and natural regeneration. In its December 1997 report to the Consultative Group of aid agencies, the Vietnamese government stated that forest cover was 30 per cent, up from 25 per cent in 1995 (Nguyen Le Thuy no date). In December 2000, the Vietnam News Agency reported that the Minister for Agriculture and Rural Development, Le Huy Ngo, told the National Assembly that “Vietnam’s -forest area had expanded by over 300,000 ha each year as a result of relentless efforts for forest protection and afforestation by local residents and administrations since 1995” (VNA 2000b). In January 2001, Associated Press reported Le Sau, director of the National Institute of Forest Survey and Planning, as saying that: “Forests now cover 33.2% of Vietnam’s land area, up from 28% five years ago, because of the fast recuperation of natural forests and government efforts to plant new trees” (AP 2001). The Ministry of Agriculture and Rural Development (MARD) estimated in 2001 that there was an area of 500,000 hectares of concentrated plantations in Vietnam. However, the picture is not so optimistic as these statements appear. According to MARD, plantation managers face problems because of the limited market and low prices for their products (mostly eucalyptus, acacia and pine). Growth rates are low and harvesting is inefficient. Distances between logging and processing sites are often long and transportation costs account for the largest proportion of timber prices. At the same time, MARD complains, there is excess cheap timber on the market which discourages farmers from investing time and money in growing trees (MARD 2001a). In its Forestry Sector Review, carried out in 2000, the Asian Development Bank (ADB) reports that “Very few of the plantations are economically viable” (MARD 2001a). In spite of the area of plantations established in Vietnam, the country relies on imports of pulp and paper. North Vietnam started paper imports in 1960 when it imported 16,000 tons. By 1971, imports accounted for 27,500 tons, or about 75 per cent of consumption. Most imports came from the Soviet Union (Jerve et al 1999: 48). Pulp and Paper International reports that in 2000, Vietnam’s paper producers met demand for newsprint, writing and printing paper and some low quality grade, but the country imported “large quantities” of kraftliner, coated products and cement bag paper (Tran Doan An 2001). In 2001, Vietnam imported around 225,000 tons of paper a year and Vinapimex imports about 75,000 tons of pulp a year (Export America November 2001: 5). The Saigon Times reported in August 2001, that each year the industry is short of 189,000 tons of pulp and recycled paper each year, and relies on imports to fill the gap. Domestic pulp and recycled paper prices are about three times world prices, a fact that the Saigon Times blames on Vietnam’s small production capacity and “non-automated mills with the obsolete and decaying machinery” (Saigon Times 29 August 2001). Meanwhile, according to industry forecasts, demand for paper in Vietnam is set to increase by more than 10 per cent each year. By 2010, demand is estimated at 1.25 million tons. Vinapimex estimates that US$3 billion needs to be invested in machinery and plantations over the next 10 years, “to bring the industry up to scratch” (Saigon Times 30 July 2001). In September 2001, Vinapimex announced an ambitious plan to expand the pulp and paper industry in Vietnam. With a total cost of US$1.9 billion, the plan involves 16 new pulp and paper production projects and 693,000 hectares of plantations. If they were all built, the mills would increase Vinapimex’s annual paper production capacity from the current 171,000 tons to 419,000 tons (VNA 2001c). The proposed expanded pulp and paper sector is to produce 40 per cent printing and writing paper, 40 per cent industrial packaging, 10 per cent newsprint and the remainder “niche products” (VNA 2001c). Port capacities limit the size of chip carriers that can be used. In September 1998, Vietnam had more wood than the country’s pulp processors could handle, according to an article in the Vietnam Economic Times. The article argues that the rate of planting trees is not being matched by an increase in pulp processing capacity. Suppliers are stockpiling their timber while they wait for the pulp producers to take their wood. Meanwhile, the industry is having to import pulp to keep the paper machines running, because the pulp sector is not producing enough. The article argues that MARD has boosted tree planting and wood production as well as increasing the capacities of paper producers, without increasing pulp production. The article concludes, “The biggest losers, as usual, are the farmers, who are either stockpiling or selling their wood at rock-bottom prices” (VET 1998). In December 1999, the Hanoi-based newspaper Nhan Dan reported that farmers were selling their products as firewood in local markets rather than to the pulp and paper industry because of the lack of transportation and the “low economic value of these long-lasting trees” (Nhan Dan 1 December 1999). The risks of tree growing are often passed on to farmers: “Plantation development, even if successful, can provide some income but cannot match agricultural land uses in immediate returns. In fact in some regions, an over-supply of plantation timber, for example, eucalyptus poles is causing a reduction in market prices to the point where farmers risk making a loss, rather than the profit anticipated and calculated into the cost/benefit analyses of many projects” (Carew-Reid et al 1999: 82). Ngo Thi Minh Hang of the National University for Economics carried out a cost-benefit analysis of tree planting by smallholders. He concluded that smallholders “generally have difficulty borrowing money to set up their tree growing enterprise except at high interest rates from private lenders. They face difficulties in growing and selling trees, as they have little information on marketing or log prices. . . . Their bargaining power is very weak in choosing between a number of traders and they do not know if the benefits from the sales are equitably shared. . . . law enforcement is not very good and many logs are stolen. . . . In addition to these considerations, smallholders have to bear the risks of fires, theft, diseases, insects and strong winds” (Ngo Thi Minh Hang 1996: 53). A 1996 report by the UNDP points out that “Farmers in general see tree growing as worthwhile but more risky than producing short-term crops” (UNDP and FAO 1996: 17) The report continues, “However, farmers can also incur real losses or opportunity costs with the conversion of barren lands to trees. This cost is more serious than it appears on the surface since the people who have been using these areas are generally the poorest. Including an opportunity cost for products foregone renders many of the planting activities economically unsound. This indicates that protection and natural regeneration should seriously be considered as an alternative forest management option for many of the barren land areas” (UNDP and FAO 1996: 17). Diseases which attack fast-growing tree plantations present yet another problem for the industry, and for farmers planting trees. Serious fungal attacks have spread from southern Vietnam to central Vietnam in a range of eucalyptus species. Other diseases, including cankers, threaten plantations in Vietnam (UNDP and FAO 1996: 22). In 1996, the Commonwealth Scientific and Industrial Research Organisation (CSIRO) and the Australian Centre for International Agricultural Research (ACIAR) started a project aimed at reducing the impacts of disease on eucalyptus (Midgeley et al 1996: 6). Given the problems that plantations and the pulp and paper industry face in Vietnam, it is sometimes difficult to understand why it attracts so much attention from international aid agencies and international companies. Occasionally, however, governments are open about their motivations. In 1991, Stothert Enterprises, a Canadian company, won a US$4.2 million three-year SIDA-funded contract to provide technical assistance to the Bai Bang mill. The Canadian government viewed this as a “foot in the door” of the lucrative world of development aid in Vietnam: “The Stothert case demonstrates how a company can establish a foothold in Vietnam through a multilateral-funded [sic] project, where payment to the firm is secure, thereby reducing the risk involved. As a result, this contract will allow Stothert to learn the ‘rules of the game’ in Vietnam and to pursue other opportunities in the country” (Canadian government no date). The Vietnamese government started its first plantation programme in 1956. However, in the last decade, government support to plantation development has accelerated, first through Programme 327 and, since 1998, through the Five Million Hectare Reforestation Programme (5MHRP). This section looks at Programme 327 and the 5MHRP followed by a brief look at some of the laws the government has passed which benefit the development of industrial plantations. – PROGRAMME 327: REGREENING VIETNAM? creating incomes to the State and consolidating the national security (GOV 1992b). Article 1 of Decision 327-CT encourages the establishment of projects on bare land and degraded hills “in order to use the land”. Article 2 gives priority to “projects with quick return of funds”, and aims for the promotion of a “close linkage between processing industries and the domestic as well as the international market”. Article 10 emphasises international cooperation particularly involving funding from the private sector, and Article 11 encourages state enterprises, households, companies, and foreign joint ventures to invest in plantations on bare lands in new economic zones (GOV 1992b). The targets for reforestation under Programme 327 were ambitious, with the government aiming to plant five million hectares in 10 years (Nguyen Cat Giao 1995: 26). The actual number of projects established is difficult to ascertain, however, as reports vary from 1,200 projects at a cost of US$60 million, (Nguyen Cat Giao 1995: 28), to 800 projects at a cost of US$50 million (Nam Binh 1994: 5) both in September 1994, to 426 projects at a cost of US$12 million, in June 1994 (VN 1994c: 1). The areas planted, and the areas of forest land allocated for future planting are even more difficult to establish. MARD estimates that 638,500 hectares of tree plantations were established under the project between 1992 and 1998 (Salmi et al 1999: 7). Programme 327’s objectives changed as time went on. In 1993, the government abolished state funding of forest enterprises, leaving many state forest enterprises with a funding crisis (Doran and Vo Quy 1993: 3). Programme 327 provided a life-line through which forest enterprises could continue to receive state funding. In 1995, the Prime Minister issued Decision Number 556 which amended Programme 327 by focussing the programme on protecting forest from shifting cultivation and replanting bare land and hills on land classified as protection forest or special use zones, especially in mountainous and midland areas (Fortech 1998: 4) (Salmi et al 1999: 7). In 1996, the programme became the “National Program to Create and Protect Watershed Protection and Special-use Forest”. “Regreening bare hills” was now to be the focus (Fortech 1998: 4). Plantations for production were removed from the programme (Salmi et al 1999: 7). In May 1995, representatives of Vietnam’s Ministry of Forestry visited Washington, in order to present programme 327 to the World Bank, hoping to attract Bank funding for the project. They were unsuccessful, and by 1998, Programme 327 had cost the government approximately US$213 million (Salmi et al 1999: 19). In 1998, the World Bank hired Australian forestry consultants Fortech to “describe, analyse and evaluate” Programme 327. Although official data reports that Programme 327 was largely successful, Fortech’s report is very critical of the Programme and states: “In practice, the Government acknowledges that the area of natural forest in protected and production areas has decreased; forest plantation programs have mostly failed; and that rural development in mountainous communities has stalled. Plantations established under the Program do exist in the field but are generally poorly stocked and suffer low growth rates. Industrial plantations also exist but these are located in a few selected areas and only on good soils. The majority of land targeted for Program 327 funding is poor quality and degraded” (Fortech 1998: 11). Among the problems listed by Fortech’s consultant are a top down bureaucratic approach, land allocation that does not involve local people, poor silvicultural practices, the project was simply imposed on poor households without their input, and Vietnam has little land available for large scale tree plantations (Fortech 1998: iii). Fortech’s consultant points out that projects designed under Programme 327 allow villagers little opportunity to use land allocated for tree planting according to their knowledge of what would work best. The consultant comments that bureaucrats in Hanoi, who must approve the projects, “cannot possibly choose projects relevant to the constraints facing local people” (Fortech 1998: 12). Although projects under Programme 327 did sometimes provide some benefits to households, it was only once the trees could be cut down. For example, if the project involves reforesting bare land households received a percentage (usually 50%) of the income when the trees are cut and sold (Fortech 1998: 6). However, while they wait for the trees to grow, villagers lose access to their land. One of the key reasons that plantations fail in Vietnam is due to damage from grazing animals – the land that appears to be simply “bare land” is in fact often already in use. The problem is summed up by Fortech’s consultant, Scott Poynton: “The Government sees land in 327 project areas as plentiful, bare and unproductive. Local households view it differently. For them, land is scarce. Households adjacent to bare land establish and defend use rights over the bare areas. They will use as much of it as they can to grow food. If the land is unable to support food crops, they’ll try cash crops such as rubber, coffee, tea or fruit trees. If these fail, the land will be used for grazing as cattle or buffalo can return annual income. Trees are generally the last option tried by local people because of the long wait for income. It is not surprising that most ‘fast growing’ tree plantations in Vietnam suffer extensive grazing damage” (Fortech 1998: 15-16). Perhaps as a result of its failure to secure World Bank funding for Programme 327, the Vietnamese government proposed a new and bigger programme to replace it: the Five Million Hectare Reforestation Programme (5MHRP). The programme was developed in a report entitled, “Strengthening of reforestation, re-greening of open land and bare hills as a way to reduce harvesting in natural forests” (MARD 2000). On 5 December 1997, the 10th National Assembly agreed the “Resolution On Establishment of Five Million Hectares of New Forest”. The Prime Minister announced Decision 661/QD-TTg on the Five Million Hectare Reforestation Programme on 29 July 1998. The government established a fund (known as Fund 661) to fund projects under the programme (MARD 2000). 50 million trees per year to be planted around houses, offices, schools and along roads and dykes to provide fuelwood and material for domestic furniture (MARD 2000). The programme’s target is to increase the area of “forest” in the country to 14 million hectares by the year 2010. The target area – five million hectares – came from French maps of 1943 which indicate that 43 per cent of Vietnam was then forested, five million hectares more than official figures in the mid-1990s when the programme was first dreamed up. Of the five million hectares the government plans to designate one million hectares to plantations for pulp production. Create raw material areas and develop industries to process forest products (MARD 2000). Article 2 states, “With regard to protection forest, priority investment should be given to the vital key protection regions, head waters, reservoirs, especially the headwaters of the hydropower projects, cities, coastal protective areas and areas with urgent need of ecological rehabilitation” (MARD 2001a). Article 2 also states: “people are the driving force for establishment, protection, and regeneration of forests and are entitled to enjoy benefits from forest-related activities” and “the creation of new forests will be implemented in the form of a number of local projects designed in close cooperation with the local people” (MARD 2001a). In December 1998, during the Consultative Group meeting in Paris, international aid agencies got involved when they agreed to form a partnership to support the 5MHRP (MARD 2000). A year later, in December 1999, a Memorandum of Agreement to form a formal Partnership was signed between MARD and the representatives of 15 aid agencies and NGOs: World Bank, ADB, FAO, World Food Programme, WWF, IUCN, UNDP, JICA and the governments of Finland, Sweden, Holland, Japan, Switzerland, Germany, Denmark. The total planned investment up to 2010 is US$2.5 billion, of which US$1.4 billion is to come from international aid agencies (Fortech 1998: 19). In its first two years of existence the 5MHRP received US$70 million each year in official development assistance, 70 per cent of which was non-refundable aid (VNA 2001b). A “Joint Partnership Steering Committee” was established consisting of representatives of the Vietnamese government and international aid agencies. The Swedish International Development Agency (SIDA) is one of the agencies involved in the discussions with the government about the 5 Million Hectare Reforestation Programme. Rolf Samuelsson, First Secretary at the Swedish Embassy in Hanoi, described SIDA’s attitude to the project: “We think it’s perhaps a rather squarishly top down plan type of programme, political agenda and so forth. But as Sweden is very much encouraging partnerships and sector-wide programme approaches we think this programme, for all its constraints, is a good starting point for a dialogue with the government on forestry issues” (Samuelsson 2001). While the aid agencies and the Vietnamese government discuss the future funding of projects the government has started planting. In 1999, 206,000 hectares of “forests” were planted, out of a target of 310,000 hectares. The target for 2000 was for 403,000 hectares with a state budget of approximately US$25 million. MARD has even attempted aerial seeding, dumping 7.5 tons of pine and acacia seeds in an area of 2,500 hectares in Lai Chau province (VNA 1999). This was not a one off event but part of a two-year project costing US$700,000 (Nhan Dan 28 June 1999). In 2000, around 400 projects were implemented under the 5MHRP. however most of these were projects that had carried over from Programme 327. SFEs tend to prepare new projects that are in any case similar to those under Programme 327, partly because this is what they are used to, but partly because there are no clear guidelines, criteria or indicators for project implementation and monitoring under 5MHRP (MARD 2001a). FAO provided US$287,000 for technical support for the 5MHRP between 2000 and 2001. The support aimed (among other things) to “improve the methodology used for evaluating forest land in Viet Nam with respect to its potential and its suitability for specific purposes of tree planting and natural forest regeneration” (FAO www 1). An agreement was signed by permanent Deputy Agriculture and Rural Development Minister, Nguyen Van Dang and FAO representative in Vietnam, Fernanda Guerrieri, on 7 December 2000. III: Forest Sector Investment, Assistance Needs, Financing Strategy and Partnership Support Structure (UNDP www 1). At the end of this study phase of the 5MHRP, WWF and the World Bank, through their “Forest Alliance”, contributed US$10,000, “for the Partnership to build on the study results in the 2nd phase of the Partnership” (WWF 2001). the Partnership process does not yet fully reflect the importance of the 5MHRP for the sector. Meetings and work in the Task Forces appears to be driven mostly from the donor side and not be well linked to the on-going 5MHRP implementation process” (UNDP www 1). In April and May 2001, a Joint Formulation Team (one international consultant and three Vietnamese consultants) produced a Forestry Sector Support Framework. The co-chairman of the Partnership Steering Committee is Wijnand van Ijssel, First Secretary at the Netherlands’ Embassy in Hanoi. In mid-November 2001, the Minister of Agriculture and Rural Development and heads of international aid agencies signed a revised MoA. The name of the 5MHRP Partnership changed to the Forest Sector Support Program and Partnership (FSSP&P) and now covers the entire forestry sector (UNDP www 2). The international aid agencies backing the 5MHRP appear to be using the programme to encourage further privatisation in Vietnam. For example, “If the Government wants to achieve similar development results in forestry as have been realized in the agricultural sector, however, it needs to provide the necessary framework conditions. These conditions would include reducing government’s productive activities and leaving enough room and freedom for the private sector to develop” (MARD 2001a). Under 5MHRP the government only funds protection “forests” leaving commercial plantations and other production forests to the private sector. So far there have been way more protection projects established than commercial plantations under the project. “In the list presented by the Ministry of Agriculture and Rural Development in late 1999, 483 domestic projects in the National Five Million Hectare Reforestation Programme belong to the categories ‘protection forestry projects’ (364) and ‘production forestry projects’ (119)” (Vu Hoai Minh et al 2000: 17). The five million hectare programme is not only aimed at increasing the area of industrial tree plantations. It also states that “land allocation must be conducted openly and democratically” (MARD 2000). However, the projects under the programme must ultimately be approved by the MARD, meaning that the projects must fit in with the bureaucratic requirements of Hanoi-based officials. There is a danger that local people’s knowledge and skills will be excluded from the design of the projects. A report produced for MARD in 2001 under the 5MHRP, states that shifting cultivation provides the main source of food for many people in Vietnam and also plays an important role in natural regeneration and the conservation of biodiversity. “More often than not, forest clearance is the result of spontaneous migration, which leads to the loss of parts of ‘resident’ shifting cultivators’ fallow land.” Further, over the last twenty years, few shifting cultivators have actually abandoned their shifting agriculture. MARD’s report concludes, “the assumption that ethnic minorities are principally responsible for forest clearance would be a misleading one within the framework of the 5MHRP initiatives” (MARD 2001a). Yet, Le Sau, the director of the National Institute of Forest Survey and Planning was reported in 2001, to have stated that in addition to defoliation by American forces during the war, ethnic minority groups practising “slash and burn” agriculture destroyed forested areas (AP 2001). When government officials carry out land allocation and land use planning in indigenous peoples’ areas attitudes such as Le Sau’s can predominate. To many government officials fallows are simply “unused lands”. Local people thus lose part of their farmland when it is targetted for reforestation. If fallow areas are planted with trees, farmers have no choice when the time comes to re-use the land, other than to clear another area for their crops, or to cut down the planted trees. Further, current tenure regulations do not permit joint ownership by communities. Common land is therefore at risk of being privatised through the land allocation programme. The 5MHRP provides a new source of funding for State Forest Enterprises. Since 1993, SFEs have not received yearly management fees but have to compete to receive state funds for forestry projects. For SFEs with little land available for plantations, the 5MHRP provides an incentive to clear forest and apply for funding to set up plantations. In addition, a report prepared for the 5MHRP in December 2000 points out that there are no safeguards within the programme to prevent planting up of land that is not naturally forested, such as grasslands and mudflats (MARD 2000). Many provinces have classified their “forests” with a view to securing state funding. Thus what was once production forest becomes protection forest simply in order to be eligible for funding from reforestation programmes (MARD 2001a). The problem is summarised in a report produced for the MARD in February 2001: “Due to the shortage of financial, technical and human resources, as well as the failure to initiate enterprise reform, SFEs have largely become incapable of effective forest management, surviving instead on commissions generated through national programs” (MARD 2001a). A further problems occurs in reporting on projects funded through 5MHRP. Because SFEs are dependent on future funding through 5MHRP there is little incentive to report accurately the success (or failure) rates of projects under the programme. A report produced in February 2001, for MARD, states that “The 5MHRP’s lack of concrete objectives, criteria and indicators has mostly prevented transparent decision-making, monitoring and evaluation. Without increased possibilities for verification, provinces have to resort to the political process (and political patronism) to ensure access to Program funding. In the process, the rationale and feasibility of sub-projects becomes of secondary importance” (MARD 2001a). The same report states, “on the one hand exotic monoculture tree plantations are often unsuited to local conditions, become vulnerable to fire, pests and diseases, and undermine the potential for biodiversity protection or rehabilitation; and on the other hand, exotic species tend to crowd out slower growing local species, as has been observed in many field sites” (MARD 2001a). The report recommends a further study into promotion of commercial plantations: “A more thorough analysis is needed to justify the big investment in commercial plantations implied in the 5MHRP. 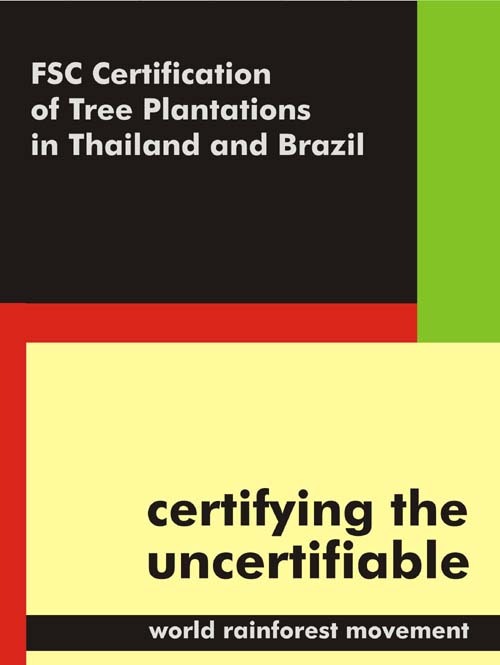 Basically, the study should answer the question: ‘Under what conditions (soil, market, infrastructure) is it feasible to invest in commercial plantations?’ This study would be dynamic, and take into account available areas and their soil and climatic conditions, transport infrastructure, demand and supply situation of wood and forest products within and outside Vietnam, existing and planned processing units, market prices, production potentials under different conditions and silvicultural treatment, and production costs and returns. This study may give a basis for a national policy on commercial forest plantations and forest industry development” (MARD 2001a). The 5MHRP includes very ambitious proposals for increasing the area of commercial plantations. Yet, more than two years into the programme, there was apparently no study of what these plantations are for. Even more alarming is that Vietnam’s policy makers, and their international advisors and funders, show little interest in studying the impacts of commercial plantations on local people, their livelihoods and their environment. Vietnam’s land policy reforms began in 1981 and started by de-collectivising land ownership. This was followed in 1988 by resolution 10 NW.TW which allowed households long term land use rights (Carew-Reid et al 1999: 66). In July 1993, the Vietnamese government introduced a new Land Law which clarified the allocation of land to families started under the 1988 resolution. Under this law, land could be allocated for 20 years for agricultural crops, and up to 50 years for forestry (Ton Gia Huyen 1995: 14). Land allocations for forestry are renewable (Salmi et al 1999: 17.18). Since 1993, land use rights can be allocated to individuals, households and organisations (either state-owned or private). State forest enterprises can receive longer than 50 years rights to forest land but foreign companies or individuals are not allowed to receive land use rights (Salmi et al 1999: 17-18). The 1993 Land Law was drafted with the support of the World Bank’s legal department (Chossudovsky 1994: 19). During the early 1990s, the Bank carried out a land use research project in Vietnam, under the leadership of Gary Budgen, an international property law partner with Australian law firm, Mallisons Stephen Jacques. His role involved drafting policy on land use and establishing a registration system to assist the government in dealing with foreign investors (Vietnam Today 1994 Vol. 2 No. 3: 8). The 1993 Land Law allows provincial authorities to determine land use and allows them to allocate or confiscate land accordingly. Such powers, accompanied by provincial government and forest enterprise needs to generate their own funding, have led to an increase in commercial crops, including industrial tree crops, often at the expense of subsistence economies of village communities (Houghton 1996: 39). For example, in Song Be province, one of the most popular provinces with foreign investors, investment in plantation projects has occupied large tracts of land, eroded farmers’ land rights and turned farmers into permanent tenants rather than landowners (Ratcliffe 1994: 2). In 1998, the government announced amendments to the Land Law, which divided land into six categories: forest land, agricultural land, rural residential land, urban land, special land and unused land. Forest land was divided into forested land and non-forested land planned for reforestation. The 1998 Land Law makes a distinction between “plantation forest” and “natural forest” (MARD 2001a). The 1998 Land law amendment allows organisations, but not individuals, to use the value of timber growing on allocated forest land for mortgages. Organisations can also use the land as capital contribution for forestry joint venture projects (Salmi et al 1999: 17-18). In November 2001, the government passed yet another revision to the land law, this time allowing foreign banks to take land use rights as collateral for loans and attempting to help set up a land market (Mekong Sources 26 November – 1 December 2001). While land allocation has helped to improve the situation for many farmers, and contributed to a boom in rice production in Vietnam, the allocation of forest land is not straightforward. By the end of 1999, rights had been allocated to 86 per cent of crop land but only 9.8 per cent of forest land (Carew-Reid et al 1999: 66). The current land allocation process is meaningless to farmers practising swidden agriculture as they can only claim ownership to land that is currently in use. Common land rights are also not recognised under the Land Law. The land law has important implications for plantation development. A 1999 report produced for PROFOR Vietnam illustrates the point: “Clear and secure land use rights are essential for forestry development . . . Everywhere in the world forestry, with special reference to forest plantations, has proven to be successful only where tree tenure (and more preferably, land tenure) has been legally and clearly provided” (Salmi et al 1999: 17-18). Phan Huu Thang, of the Ministry for Planning and Investment, also confirms the importance of land allocation for plantation development: “Land allocation is proceeding but is slow and documentation for land tenure is necessary prior to any forest plantation activity. The cost of land allocation is high and this reduces the amount of funding available for plantation establishment” (Phan Huu Thang 1996: 35). Forestry and plantation activities are taxed at various points of the operation: resource tax, agricultural land use tax, land rental, export/import tax, value-added tax and enterprise income tax. However, there is also a wide range of tax reductions and exemptions for forestry. The forest and plantation industry is often substantially protected through the import/export tax structure. a 50 per cent reduction of land rent for the following five years. low interest and long term loans (WRM 1998). The Vietnamese government currently taxes export of woodchips. A report for the 5MHRP states that “export taxes on products in which Vietnam has a competitive advantage, such as woodchips, need to be removed” (MARD 2001a). In January 1999, the government passed a value added tax (VAT) Law which included a zero rate for unprocessed forest products from plantations (Salmi et al 1999: 35). In May 1997, Vinapimex had more than 15,000 tons of paper unsold because of competition from cheap imports. Later in the year, the government imposed restrictions on importing paper that could be made locally, in order to support the domestic industry (Reuters 30 June 1998). Vietnam may in the future have to remove such tariff barriers on timber products in order to comply with Asian Free Trade Area regulations. When this happens, lower priced imports will threaten inefficient domestic production – leading either to closures or improved efficiency (cheaper production). Vietnam’s plantations will be in direct competition with Australia, Indonesia and New Zealand. MARD predicts that the raw material timber market in the Pacific Rim could be flooded with low-priced wood within five years (MARD 2001a). companies that export more than 80 per cent of their products are exempt from land rent (Salmi et al 1999: 32). These incentives, particularly the last one, are clearly of benefit to wood chip operations in Vietnam which export their products mainly to Japan and Taiwan. The incentives also have the effect of favouring international companies’ over local companies in developing the pulp and paper industry in Vietnam. On 22 July 1992, two months before he announced Programme 327, Vo Van Kiet announced Decision 264-CT. Entitled “On policies encouraging the investment for forestry development”, this law allows the state to hand out credits at preferential interest rates (30-50 per cent of the market rate) for short rotation plantations supplying raw material for pulp and paper. Repayment of the loans is only at the end of the production cycle and the interest is simple rather than compound (GOV 1992a). In October 1999, the government announced another decision providing cheap loans to the plantation industry: Decision of the Prime Minister No. 211/1999/QD/TTg. Under this decision, the interest rate for loans to establish industrial forest plantations is 0.81 per cent per month. Interest is charged at simple not compound rates and principal and interest is only due when the timber is cut. The loans can be made to individuals, households and forest owning institutions (Salmi et al 1999: 24). The interest rate under this decision is the same as the interest rate charged by the Vietnam Bank for the Poor in mountainous and remote areas – the plantation industry and the poor are treated as equally in need of cheap loans. International aid agencies are playing an increasing role in establishing plantations in Vietnam. For example, in 1998, forestry consultants Fortech reported that 38,600 hectares of production plantations were to be planted that year with funding from World Food Programme, Sida, Germany’s KfW, ADB, World Bank, European Commission and other government aid programmes (Fortech 1998: 8). However, as Fortech’s consultant points out, in spite of a “long history of donor support, there are few plantations in the field – either Government or donor supported – that have survived to full rotation age” (Fortech 1998: 8). A review of aid to the environmental sector in Vietnam carried out in 1999 points out that “Not all environment ODA necessarily helps the environment” and adds that the environmental implication of many projects have yet to be assessed, and “may produce unwanted side effects” (Carew-Reid et al 1999: 80). The authors of the report point out that “Tree planting and forest conservation are not necessarily linked in the straightforward and simple way that many policy-makers believe. Focussing on plantation development, therefore, fails to recognise and treat the real causes of natural forest loss” (Carew-Reid et al 1999: 81). This section looks at some of the international support to the forest sector in Vietnam, particularly focussing on plantation development. The World Bank, FAO, UNDP and World Resources Institute dreamed up the Tropical Forestry Action in 1985. Over the next ten years, TFAP studies were produced in 89 countries. Vietnam’s TFAP process started following a visit in November 1988 by Chuck Lankester (then of UNDP, and later to become infamous as Executive Agent at the Mekong Secretariat in Bangkok), and R.D.H. Lowe (of the World Bank). By the time Vietnam’s TFAP was produced in December 1991, the TFAP was coming under increasing criticism internationally. One result of the TFAP process in Vietnam was a “shopping list” of 34 projects, including a review of the pulp and paper sector (US$140,000), industrial plantations development (US$25 million), and identification of sites for industrial plantations (US$150,000). Projects that actually took place include a three year capacity building programme for national forestry planning, funded by Sweden, and the reorganization of the Ministry of Forestry, funded by Germany (FAO 1995: 212). However, out of a total of almost US$200 million requested for investment or aid in the forestry sector, very little was actually committed. TFAP’s influence, rather than in terms of numbers of projects, is better understood as a “foot in the door” of Vietnam’s forestry sector for a number of international institutions and consultants. According to the World Bank, the Vietnam government’s Programme 327 was a result of Vietnam’s TFAP (World Bank 1995: 4). FAO was one of the organisations which set up the Tropical Forestry Action Plan in Vietnam (see above). In 1995, an Italian government-funded project started, entitled Country Capacity Strengthening for National Forestry Action Plan Implementation in Vietnam. The US$600,000 project was carried out by FAO (Salmi et al 1999: 120). FAO is part of the Forest Sector Support Programme under the five million hectare reforestation programme (see above). In December 1993, a FAO project, titled “Strengthening Re-afforestation Programmes in Asia” (STRAP) started, with US$1,046,340 from the Japanese Government. The project covered Vietnam, Laos, Burma and Bhutan and ended in November 1996. According to FAO’s final evaluation mission of the project, “Project activities concentrated on awareness raising of the need for accelerated plantation re-afforestation at national and provincial government levels” (FAO 1996b). FAO also reports that in Vietnam under the STRAP project, “a widely publicized and well attended industrial plantation workshop . . . led to a major international pulpwood plantation investment” (FAO 1996b). The meeting was held in Pleiku in Gia Lai province in January 1996, however, in reply to my question about the plantation investment, Jim Carle, Senior Forest Officer at FAO in Rome said, “FAO does not have access to the individual country forest plantation development data that may have resulted indirectly as an output outcome by secondary beneficiaries of the project” (Carle 2002). The UNDP Programme on Forests (PROFOR) aims “at enhancing the implementation of the IPF Proposals for Action” and puts particular emphasis on public and private partnerships. PROFOR works in Cameroon, Costa Rica, Guyana, Malawi and Vietnam (Salmi et al 1999: 12). Developing innovative financing for sustainable forest management” (Orgut 1999). PROFOR helped prepare programme documents for 5MHRP and its field activities have a “close association” with projects of the 5MHRP (Orgut 1999). PROFOR has established four pilot sites in Vietnam. 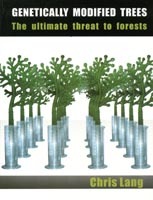 A 1999 report produced for PROFOR, entitled, “Study on Financing Strategy for Sustainable Forest Management in Vietnam”, states that, “investments (and respective financing needs) in the forestry sector can be divided in two broad categories: (i) investments in productive forestry which should be strictly profitable, and (ii) investments in protective and conservation forestry which need to be subsidised by the state/society at least until adequate means for income generation e.g. from tourism or sales of carbon sequestration or biodiversity services and be put in place” (Salmi et al 1999: 10). In dividing forestry investments in such a way, PROFOR completely excludes existing community level management of forests, as if no one in Vietnam (including local people) had thought of managing forests “sustainably” until PROFOR’s experts came along. PROFOR’s promotion of “public private partnerships” appears little more than an attempt to get public subsidies for private companies. In their 1999 report, PROFOR’s consultants state that an “adequate volume of state subsidies to private forestry should be secured to compensate private investors for public services (soil and water conservation, etc.) provided by forest investments” (Salmi et al 1999: 41). The same report also states: “There is a need to develop stable and favourable investment climate allowing foreign investors to own and operate companies in forest sector” (Salmi et al 1999: 62). In sharp contrast to their position on subsidising companies, PROFOR’s consultants do not recommend giving subsidies to villagers, but ask instead: “Why should the government pay for the labour of the farmers when they plant trees on their own land?” The consultants argue that farmers can do the work of clearing trees, bushes and scrub and then digging holes and planting trees outside the agricultural cycle, when “the farmers are in reality underemployed” (Salmi et al 1999: 78). In other words, according to PROFOR’s consultants, it’s fine for the government to pay companies to plant trees, but not to pay farmers, who are anyway sitting around with nothing better to do. The World Food Programme (WFP) supported a plantation programme in Vietnam between 1992 and 1995, during which time 126,000 hectares of plantations were established, mainly of fast-growing exotic tree species. The project aimed to increase “forest cover” on denuded lands for production of fuelwood and small timber poles as well as encouraging soil conservation and sand dune stabilisation to protect farmers fields and villagers (Salmi et al 1999: 122). Between 1997 and 2001, WFP aimed to plant a further 51,000 hectares (Salmi et al 1999: 20-21). The project cost is US$15.8 million and the plantations are to be in the north west of the country (Salmi et al 1999: 54). Farmers received 500 kilogrammes of rice for every hectare of plantation they establish (Salmi et al 1999: 115). A 1999 review of aid to the environment sector in Vietnam stated in reference to WFP’s project: “While the plantations undoubtedly exist, it is impossible to comment on the programme’s economic, social or environmental impacts as there has never been a formal evaluation of any of WFP’s projects” (Carew-Reid et al 1999: 83). The EU is funding a US$23 million social forestry and nature conservation in Nghe An province. In addition to supporting agroforestry initiatives and a nature reserve management plan, the project is to establish a plantation in the buffer zone of the Pumat nature reserve. The World Bank and the Netherlands government are funding a US$33 million project entitled “Forest development and rural development”. The project is to run for five years and started in 1998. Project activities include community development planning, forest management, land allocation, rural infrastructure and agriculture support service. The project works in Dac Lac, Kontum, Binh Phuoc, Dong Nai and Lam Dong provinces. The World Bank also has a project entitled Northern Mountains Poverty Reduction. The US$100 million project aims to reduce poverty through environmentally sustainable improvement to agricultural production, construction of small-scale rural infrastructure, and improving access to education, health and nutrition (World Bank 2000). The Bank also has a US$75 million “Barren Hills Afforestation” project. The project aims to “reforest degraded barren hill areas suitable for forestry”, improve food security of the rural poor and protect remaining natural forests (World Bank 2000). The Asian Development Bank resumed lending to Vietnam on 22 October 1993 (ADB 1994: 5). In April 1997, the ADB announced a US$33 million interest free loan aimed at reforesting three mountain watersheds. The watersheds feed the Chu River in Thanh Hoa province in the north, the Truc Kinh Reservoir in Quang Tri province in central Vietnam and the Ba River in the Central Highlands provinces of Gia Lai and Phu Yen. The German consulting firm GFA Terra Systems won a contract worth US$4.8 million to carry out the project (GFA www 1). The project area covers around 114,000 hectares, which the consultants GFA Terra Systems describe as “barren lands” (GFA www 1). One of the aims of the project is to reduce slash and burn cultivation. The project is planned to be completed in December 2003. The total project cost is US$53.2 million. ADB funds 62 per cent with the remainder coming from the Netherlands and “the beneficiaries, who will contribute 15 per cent through their labor”. The project is expected to increase output of fuelwood, timber and agroforestry products (ENS 1997). pasture improvement on about 12,000 hectares (GFA www 1). Between April and December 2000, the Asian Development Bank carried out a Technical Assistance titled, “Study on the Policy and Institutional Framework for Forest Resources Management”. Among the team’s goals was to “assess capacity building needs to implement the National Reforestation Program efficiently” (MARD 2001a). “Sweden has benefited a lot from development cooperation with Vietnam. Development aid has cleared the way for Swedish companies. The Bai Bang project, with its many branches, has produced a lot of spin-off effects” (Sida 1998: 24). Goran Ehren, ABB’s representative in Vietnam confirms the importance of Sida to his company: “The Sida-supported project [Bai Bang] definitely opened the doors for ABB and we have become well-known to the ministries” (Sida 1998: 24). Sweden and Sida’s involvement has gradually developed from production-orientated forestry to rural development focussed projects. Between 1991-1995, the Vietnam-Sweden Forestry Cooperation Programme, for example, included credit schemes and livestock management (Carew-Reid et al 1999: 95). Sida’s most recent project is the Mountain Rural Development Programme (MRDP) in Ha Giang, Lao Cai, Yen Bai, Tuyen Quang and Phu Tho provinces in the north of Vietnam. The US$18.1 million project includes the following components: participatory land use planning, land allocation and community forest management; extension and research; market information and business development; rural finance service; human resource development; organisational development; and gender balanced development (Salmi et al 1999: 118). The consultant for the project is SCC Natur. The programme was due to be completed in 2000, but was extended until the end of 2001 (Samuelsson 2000). The project provides each village with a credit fund and sets up savings and credit groups. Loans can be used for whatever the borrowers want, but priority is given to loans for agriculture and forestry purposes. Farmers are provided with free seedlings and fertiliser, extension service, forest land allocation and credit for plantations (Salmi et al 1999: 119). As well as rural development in mountain areas, the project also aims to provide policy support to MARD. Swedish aid officials enjoy close professional relationships with forestry officials in Vietnam, at least partly because of Sweden’s long term involvement in Vietnam. Part of the MRDP’s policy support activities include funding the International Support Group (ISG) in MARD’s International Cooperation Department (Carew-Reid et al 1999: 95). The ISG holds a plenary meeting every year “to serve as an open forum between the donor community, international organisations involved in the agriculture and rural development activities and Vietnamese management agencies” (MARD 2001b). In April 2000, Sida was reported to be carrying out an evaluation of its work in Vietnam over the last ten years (Samuelsson 2000). The German government is involved in funding four projects aimed at reforesting areas of Vietnam. The consultant on all these projects is GFA Terra Systems. Although the focus of the projects is aimed at encouraging local people to plant trees, rather than establishing large scale industrial plantations, some of the projects include components for fast-growing tree species and “encouraging forest plantations”. In addition, GTZ is funded a project entitled Support to the Reform of the Forest Administration System (REFAS). Dorothea Hill of GTZ’s office in Vietnam states that GTZ is currently not funding any projects relating to plantations. The German-funded Social Forestry Development Project (SFDP) in Song Da Watershed aims to improve “the living conditions of the local population in the Song Da region . . . by applying ecologically and economically sustainable land use systems” (Carew-Reid et al 1999: 85). The US$4.5 million, 12-year project started in 1993 and is currently in a hand-over phase. The project has become part of a Debt for Nature swap signed by the governments of Germany and Vietnam in 1996. Under the agreement, Germany will agree to cancel part of Vietnam’s debt in return for environmental projects carried out in Vietnam. One of the five projects under the agreement is the reforestation of the Da watershed (Carew-Reid et al 1999: 191). The SFDP has developed assisted natural forest generation techniques, both with and without farmers’ involvement (Carew-Reid et al 1999: 85). The project focusses on the conservation of the natural resources and the improvement of living conditions of the local population (Salmi et al 1999: 123). The project is funded through Germany’s technical cooperation agency, GTZ (Gesellschaft fuer Zusammenarbeit) (GFA www 2). Germany’s Bank for Reconstruction, KfW (Kreditanstalt fuer Wiederaufbau), has funded three reforestation projects in Vietnam and is planning two further projects. The first KfW-funded afforestation project in Vietnam was in Lang Son and Bac Giang provinces and started in November 1995 (Kirchhoff et al no date). The project ran until 1999 and aimed to plant 12,000 hectares of “new forests”. The second KfW-funded project started in 1997. The Afforestation in Ha Tinh, Quang Binh and Quang Tri Provinces project aims to provide financial support to farmers (through savings accounts) for tree planting and tending (GFA www 3). According to a report in the Vietnamese newspaper Nhan Dan in August 1999, the project aims at planting 21,000 hectares of forest land with pine trees for glue and resin and other native trees. However, eucalyptus and acacia seedlings account for approximately one third of seedlings produced in four project nurseries to be planted by farmers (Nhan Dan 11 August 1999). Another KfW-funded project is titled Afforestation in Bac Giang, Quang Ninh and Lang Son Provinces. The project aims to reforest about 13,500 hectares of land, and introduce sustainable forest management. The reforestation is to be carried out by local people (GFA www 4) from 29 communes (Kirchhoff et al no date). The five year project started in 1999. Activities of the project include: participatory land use planning at village level; training local extension workers; providing households with seeds and other inputs for plantations; promoting “forest plantation”; and providing finance to farm households for afforestation (Salmi et al 1999: 117). Under the project, farmers receive a maximum of four hectares: two hectares for afforestation and/or two hectares for natural regeneration. When farmers plant trees and tend natural regeneration, they receive credits into a savings account created in their name. The savings account receives interest. Farmers are allowed to withdraw certain amounts of money from their accounts at certain times providing the planted trees or regenerated forest meet the criteria for quality laid down by the project (Kirchhoff et al no date). The Finnish government is also funding a micro-credit project, the Vietnam-Finland Credit Scheme for Sustainable Multi-purpose Farm Forestry, in Bac Kan province. The project started in August 1997, and aims to provide cheap credit to farmers in Cho Don district who have been allocated forest land. The credit can be used for agroforestry, tree planting, fruit trees, non-timber forest products development or other purposes providing they do not destroy forest (Salmi et al 1999: 109). Australia is funding a “carbon sink” project in Vietnam, through the government’s International Greenhouse Partnerships (IGP) Programme. (See Lang 2001 for a more detailed critique of this project.) Launched in May 1998, and working from within the Department of Industry, Science and Resources, the IGP Programme aims “to reduce greenhouse gas emissions through projects overseas” that will in future be considered as carbon off-set projects under the Kyoto protocol (IGP www 1). The US$242,000 IGP project in Vietnam aims to establish fast-growing tree plantations. The project is to be carried out by the Commonwealth Scientific and Industrial Research Organization (CSIRO) with the Research Centre for Forest Tree Improvement of Vietnam. According to Nick Minchin the Australian Minister for Industry, Science and Resources, CSIRO “will increase the carbon dioxide uptake of planted forests [sic] in Vietnam through the use of genetically improved planting stock” (Minchin 2001). CSIRO will supply acacia and eucalyptus seeds and will establish four seedling orchards, each covering five hectares, two in Quang Tri province in central Vietnam and two in Binh Thuan province in the south. Seedlings from these orchards will be planted over a total area of 8,250 hectares on a range of sites in Vietnam (IGP 2001). CSIRO estimates that the plantations will remove “an extra 21,500 tonnes of CO2” from the atmosphere per year compared to other tree plantations. The calculation is based on a 15 per cent increase in volume growth, which CSIRO expects from using improved tree seeds (IGP 2001). CSIRO also anticipates developing predictive models for “other major plantation species”, and argues that “such a capability will assist in the successful growth of plantations, enabling higher yields from the forests [sic] planted and greater carbon sequestration in the longer term” (IGP 2001) Even assuming plantations are useful in absorbing carbon dioxide, the logic is flawed – higher yield plantations make no difference if the trees are cut after five years to produce short-lived commodities like woodchips, pulp and paper. Similarly, if local communities decide to cut down the trees for their own use or in order to return the land to its previous use, any carbon absorption would be lost. Australia funded another project in Vietnam, in the Long Xuyen Quadrangle, near the border with Cambodia in the Mekong delta. The project started in 1991. In order to avoid breaching the US-led trade and aid embargo with Vietnam, Australia funded the project through the UN-backed Mekong Secretariat, then based in Bangkok. The project aimed to investigate the potential of reforesting 70,000 hectares of seasonally flooded acid sulphate soils. Initially, the project planned to plant eucalyptus “for commercial wood production” and melaleuca “to address environmental issues” (Mekong Secretariat 1991: 105). The project established research trials including eucalyptus, acacia and melaleuca working with local communities (Carew-Reid et al 1999: 97). Villagers were employed to help establish the trial plantations, improving the popularity of the project locally. The three year project was extended by two years and finished in 1996. According to Scott Poynton, an Australian forester who worked on the project, by 1996 “successful models had been developed that were environmentally, socially, technically and economically appropriate to the Quadrangle’s unique inundating acid sulphate soils environment” (Carew-Reid et al 1999: 97). However, since 1996, nothing more has happened and many of the trial plantations established have been cut down. Poynton gives several reasons for this failure to follow up the project: “The project was located in the deep Delta region, far removed from the main action in Ha Noi, and remote from where people normally think of when they consider Vietnam’s urgent forestry issues. . . . few people in MARD actually new about the project at the time and even fewer would recall it now. . . . Donors failed to catch on to the exciting work of the project. Perhaps its outputs – a model – were too scanty for meaningful advertising” (Carew-Reid et al 1999: 97). The Dutch government part-funded an ADB-Vietnam Forestry Sector Project which started in 1998. The project aims to carry out reforestation and natural forest regeneration, allocation of forest land to households and making forest protection agreements, agroforestry, improving agricultural production and income generation on non-forest land and improving village infrastructure. The project works in 50 communes in Gia Lai, Phu Yen, Quang Tri and Thanh Hoa provinces (Salmi et al 1999: 114). The Netherlands has taken a lead role in negotiations among international aid agencies on the Five Million Hectare Reforestation Programme. In 1997, the Japan International Cooperation Agency (JICA) granted equipment and technical assistance to Vietnam for plantation development in the northwest of the country (Sizer 2000: 8). In 2001, a US$6 million, Japanese government-funded project started in Quang Nam province, aimed at planting 4,000 hectares in coastal areas (Saigon Times 9 March 2001). There are three large state owned pulp and paper mills in the Vietnam, Bai Bang (55,000 tons per year) in Vinh Phu province in the north of Vietnam, Dong Nai (20,000 tons per year) and Tan Mai (48,000 tons per year) both in Dong Nai province in the south. In addition there are almost 100 small scale pulp and paper mills around the country (Pesonen 1995: 17). These are based on Chinese technology in the north and on German, British, French and Taiwanese technology in the south (Flashtec 1995). Today, Vietnam’s pulp and paper mills produce a total of about 360,000 tons of paper and board a year (PPI 1999). The supply of raw materials is becoming an increasing headache for the Vietnamese pulp and paper industry, a situation which is made worse by the export of wood chips to Japan and Taiwan. Mills have been forced to close for several months in recent years due to shortage of materials. Many Vietnamese pulp and paper mills operate at well under capacity resulting in many mills running at a loss. Production costs in 1994 of a ton of Vietnamese paper were US$200 higher than European or US costs, and cheap paper has been dumped on the Vietnamese market from Eastern Europe and Russia (VN 1994a: 1). The following section looks at some of the pulp and paper and wood chip mills in the country. Bai Bang is considered in some detail, partly because more information is available on this project, but also because of its importance in the Vietnamese context. When SIDA launched the Bai Bang pulp and paper mill project in 1974, World Wood, a timber trade magazine, reported the estimated cost as US$170 million (World Wood 1974: 3). Bai Bang turned out to be Sweden’s longest running and most expensive aid project ever. In total, Sida contributed about US$1 billion to the 55,000 tons a year pulp and paper mill – making it possibly the most expensive pulp and paper mill in the world per ton of paper produced. The mill sources its raw materials from a total area of 1.2 million hectares. Large areas of natural forests have been cleared to supply the mill, sometimes to be replaced with plantations. Despite the massive input of Swedish money and expertise, the mill only reached its designed output in 1995, fifteen years after first paper machine started operation. The mill still relies on pulp imports to run at capacity. In 1996, imported pulp accounted for one third of the mill’s expenditure (Blower et al 1999: 54). Meanwhile, import tarrifs on paper ensure that sales from the mill do not face competition from cheap imports. The price of paper produced at Bai Bang is up 10 to 20 per cent above the international price of paper (Blower et al 1999: 120). The project was the subject of huge debates in Sweden, especially during the 1970s and 1980s. However, in 1999, Sida published an evaluation of the project that concluded that “Bai Bang has proved to be an example of a sustainable development cooperation project” (Blower et al 1999: 165) and even that the “associated forestry operation are ecologically sustainable” (Blower et al 1999: 170). Nevertheless, there are still serious problems associated with supplying raw material to the mill, which are only likely to be made worse by the currently proposed expansion of the mill. Meanwhile, Bai Bang’s promoters have never commissioned detailed studies of the impacts of fast-growing tree plantations on people and forests in the area of the mill. Sweden’s support for Bai Bang mill originated in its opposition to the US war in Vietnam. During the late 1960s, the Swedish Prime Minister, Olof Palme, together with a large section of the Swedish public, was opposed to US involvement in Vietnam and saw Swedish aid to Vietnam as a way of expressing this opposition. As Rolf Ekeus, then an official in Palme’s Social Democratic Party, said later, “A Western power was bombing the poor country to smithereens, the least we could do was to help them rebuild” (Jerve et al 1999: 26). The former secretary-general of the Vietnamese Communist Party, Do Muoi, indicated how important the aid was to Vietnam when he told researchers in 1998, that Sweden was a source of support during “the years of black tears” (Jerve et al 1999: 29). A 350 MW hydroelectric power plant (Jerve et al 1999: 40). Eventually the two sides agreed on a pulp and paper mill. A paper mill was not at the top of Vietnam’s development plans, but Vietnam wanted to exploit its forests and Sweden had the technology to build a state-of-the-art pulp and paper mill (Jerve et al 1999: 48). An agreement to build the pulp and paper mill was signed in August 1974 (Jerve et al 1999: 54). The consulting firm, Jaakko Poyry, played a significant role in the history of the mill. Poyry’s initial involvement, acting as SIDA’s consultants, was a study produced in July 1971 (Jerve et al 1999: 58). Poyry’s report assessed various options for the forest industry and concluded that a paper mill would be a better option than a plywood factory (Jerve et al 1999: 60). Initially Vietnam wanted to build a mill with an annual capacity of 100,000 tons but Poyry’s report concluded that this was too large given the administrative and technical constraints (Jerve et al 1999: 50). In October 1972, SIDA commissioned Poyry to carry out a pre-feasibility study of a 50,000 tons a year pulp and paper mill. The report stated that the forest area that the Vietnamese government had assigned to the mill was too small (Jerve et al 1999: 62). Jaakko Poyry won a further contract to produce a feasibility study in April 1973. According to Jouko Virta, chairman of Jaakko Poyry consulting, Poyry’s feasibility study recommended 14 conditions which had to be met before the construction of the mill commenced (Virta 1996). Magnus Spangenberg, Poyry’s consultant responsible for writing the feasibility study, repeatedly stressed the need for further assessment of the project before it went ahead. Poyry’s feasibility study, completed in April 1974, concluded that “the feasibility of the project as such will be unsatisfactory [sic]” (Jerve et al 1999: 67). However, SIDA was determined to go ahead quickly, and in 1973 had hired another consulting company, WP-System AB, to coordinate the planning process. WP-System agreed, on condition “that we can safely see the continuation of our undertaking all through the whole construction period of the project” (Jerve et al 1999: 92). In October 1974, SIDA hired WP-System as project manager for the Bai Bang project (Jerve et al 1999: 90). Another Swedish company, Silviconsult won the contract to coordinate the associated forestry programme (World Wood 1977b: 35). WP-System won the contract to build Bai Bang in a deal with SIDA – without the contract going out to tender (Jerve et al 1999: 126). WP-System was formed in 1968 (Jerve et al 1999: 112) and had never planned and built a pulp and paper mill anywhere in the world. The company had to hire a forest industry specialist as Project Director in Stockholm (Jerve et al 1999: 98). Under its contract with SIDA, WP-System had no responsibility to keep within a fixed budget and there was also no penalty mechanism for delays in completing the contract (Jerve et al 1999: 90). The cost of the mill increased, and in January 1977 SIDA calculated that the total cost would be US$263.75 million – almost US$100 million more than their estimate three years early (World Wood 1977a: 3) (World Wood 1974: 3). Nguyen Trong Khanh, who would become General Director of the mill, summed up the problems of cost overruns and delays in an interview with researchers in 1998: “There was no strict control, and SIDA too easily accepted requests from WP-System to prolong or to get new funds” (Jerve et al 1999: 91). A small army of international consultants arrived in Vietnam and lived in the “Swedish Camp”, near the mill, in housing built by Swedish carpenters (Jerve et al 1999: 96). At one point there were more than 600 foreigners, including family members, in the project area (Jerve et al 1999: 198). Consultants were provided with housing for their families, tennis courts, a swimming pool, schools for their children and a hospital (Usher 1993). The Swedes nicknamed the Camp “Valhalla”, after the home of the gods in Norse mythology (Jerve et al 1999: 100). About 40 per cent of the funds allocated by Sweden throughout the project, went on Swedish workers at the project site and consultancy headquarters in Sweden (Jerve et al 1999: 269). However, consulting firms were not the only ones to benefit from Sweden’s aid. Five Swedish companies won contracts to work on the design. By the end of 1975, 160 engineers and technicians in Sweden had worked on the design and engineering work for the project (Jerve et al 1999: 98) Two of the sub-contractors that WP-System hired to do design work, Celpap and Ola Hellgren Ingenjorsbyran, were created in order to work on the Bai Bang job (Jerve et al 1999: 101). Approximately 80 per cent of the goods and services procured for Bai Bang were bought in Sweden (Jerve et al 1999: 264). The largest machinery orders were for two paper machines at around US$10 million to AB Karlstad Mekaniska Werkstad. Other Swedish companies involved were Beckers, Saab-Scania, Kockums, Volvo, Atlas-Copco, NJA, Asea and Platzer Bygg AB (World Wood 1976: 3). Swedish trucks were shipped out to Vietnam to carry materials from the port of Haiphong to the construction site, 100 kilometres inland (Jerve et al 1999: 96). Not only Swedish companies benefitted: a French company supplied the boiler for the power plant; Japanese, West German and Italian companies supplied components for the pulp mill and chemical plant; and Finnish, Swiss, Italian and West German companies supplied components to the paper mill and processing unit (Jerve et al 1999: 103). However, within a few years, the problems of using a consultant with no experience of building a pulp and paper mill became impossible to ignore. In 1979, SIDA’s Industry Division produced a report which criticised WP-System’s lack of expertise in the forestry industry. The Industry Division organised a series of meetings with representatives of various forestry companies including Jaakko Poyry, with a view to setting up a consortium to work on Bai Bang (Jerve et al 1999: 123). Per Gundersby, of Jaakko Poyry, had recently returned from working on a pulp and paper project in Brazil. Gundersby visited Vietnam in June 1979 and set about forming a consortium to take over from WP-System. The consortium included Celpap and Angpanneforeningen (two of WP-System’s sub-contractors – and two of Jaakko Poyry’s main competitors in Sweden) and Sodra Skogsagarna (Jerve et al 1999: 123). Scanmanagement, as the consortium was named, was 60 per cent owned by Jaakko Poyry (Virta 1996). SIDA announced a tender in July 1979, with less than a month to the deadline (Jerve et al 1999: 124). Scanmanagement won the tender. According to Jouko Virta, of Jaakko Poyry consulting, a condition of Poyry’s involvement was that the contract for the forestry element of the Bai Bang project should go to the Jaakko Poyry Group (Virta 1996). Interforest AB, a Swedish subsidiary of Jaakko Poyry, subsequently won the forestry contract. The first paper machine was completed in December 1980, the second in March 1982 and the pulp mill in September 1982 (Hamilton 1982: 12) (Jerve et al 1999: 106). The first few years after completion were a fiasco. Vietnam did not have enough qualified technicians to run the mill, and spare parts and chemicals had to be imported, which the Vietnamese government could not afford (Sayer 1991: 239). Vietnam was supposed to meet the demand for foreign currency by exporting paper, and SIDA was actively involved in promoting this export trade to Korea, Taiwan and Japan (Virta 1996). Despite the problems, the project continued to be a good deal for the consultants. SIDA depended on Scanmanagement to assess the need for international experts. Scanmanagement “naturally wanted to maximise his own role and income” according to Sida’s 1999 Bai Bang Evaluation Report (Jerve et al 1999: 270). To address the issues of bias in consultant’s reports, SIDA hired yet more consultants to work on advisory groups and review missions. However, as Sida’s evaluation notes, the members of these groups and missions had the same background and education as Scanmanagement and SIDA staff – almost all were Swedes from the forestry or paper industry (Jerve et al 1999: 270). In 1984, Sigvard Bahrke was appointed as Bai Bang project director at Scanmanagement. Bahrke was the former General Director of a large parastatal forestry company (ASSI) and a member of SIDA’s board (Jerve et al 1999: 226). In the mid-1980s, when SIDA was looking to phase out its involvement in the mill, Bahrke played an important role in persuading SIDA’s board to continue funding the project and to maintain Scanmanagement’s involvement (Jerve et al 1999: 230). In 1986, SIDA’s Review Mission even included a former member of Scanmanagement (Jerve et al 1999: 252). Sweden was represented at the official opening of the mill in 1982 by Roine Carlsson, Minister without Portfolio. After the ceremony, a journalist asked him whether it mattered that forced labour was used on a Swedish aid project. Carlsson replied, “it is an internal matter for the Vietnamese how the labour force to Bai Bang is recruited” (Jerve et al 1999: 182). The remark was published in Swedish newspapers and triggered off a long debate in Sweden about labour conditions on the Bai Bang project. A study carried out in 1985 investigated the working conditions in the forestry brigades cutting forests to supply the mill. The report is shocking, and documents forced labour, poorly paid workers uprooted form their families and villages, ill health, poor housing, poor education, and “deplorable” child care facilities (Larsson and Birgegard: 1985). One of the ironies of the project is that forestry workers interviewed in the study had received no paper from the project (Larsson and Birgegard 1985: 23). Although the report was submitted to SIDA in January 1985, SIDA did not publish it until 1987 (Jerve et al 1999: 234). In December 1986, one of the writers of the report, Katarina Larsson wrote two articles in the Swedish newspaper Dagens Nyheter, entitled “The betrayal of the forestry workers” and “Manipulation as a working method”. She pointed out that SIDA had attempted to stop the report she wrote with Birgegard and showed how their criticism had been suppressed (Jerve et al 1999: 189). In 1987, Professor Rita Lilgestrom, headed a team of researchers which carried out a socio-economic study on Bai Bang. The report concluded that the workforce employed was not “forced labour” as it is usually understood, but that the conditions for the forest workers were “gruelling” (Jerve et al 1999: 168). Another study from 1987 conducted by Adam Fforde argued that migration to the forest areas was part of a centuries old tradition of emigration to avoid overcrowding in the Red River delta, and that although conditions for forest workers may have been bad, they were not actually forced to work in forestry brigades (Blower et al 1999: 103). Sida’s 1999 Bai Bang Evaluation Report states that the debate in Sweden about forced labour did lead to some improvements in the living standards for forestry workers, by stimulating the provision of loans, improved housing, health and education. However, the evaluation states that the reforms associated with allocation of land to farmers and the higher incomes this has generated had a much more important impact on improving living standards (Blower et al 1999: 103). One of Jaakko Poyry’s recommendations in their 1974 feasibility study, was that a full resource inventory should be completed before construction of the mill was commenced (Virta 1996). However, one of the more obvious problems during the early stages of the project was that Vietnam was at war. What seemed to the Swedish side like reasonable requests for technical information necessary to build the mill and make sure it would function in the future, were issues of national security to the Vietnamese side (Jerve et al 1999: 33-34). In 1972, Nguyen Van Kha, Vice Chairman of the State Planning Commission instructed the Directorate of Forests to set aside 100,000 hectares for tree plantations to supply Bai Bang (Jerve et al 1999: 49). These plantations, however, were not established and it was not until 1984/5 that Jaakko Poyry carried out the first inventory of forests and plantations to supply the mill. A second inventory in 1986/7 confirmed the seriousness of the raw material shortage (Cossalter 1988: 7). Several factors contributed to the problems of raw material supply to the mill. Some could not be foreseen, such as the loss through flowering of large areas of bamboo stands. Bamboo is a grass and flowers at long intervals after which the stems rot and cannot be used as raw material fibre. When the bamboo flowered, however, instead of allowing bamboo to regenerate, the local authorities decided to burn the areas and establish plantations. However, many of these plantations failed (Jerve et al 1999: 151). Other problems included wastage of up to 45 per cent of standing volume, due to poor harvesting techniques and transport losses, and wood was also required for non-industrial (fuelwood, construction wood) and industrial (two other pulp and paper mills) uses in the region. In addition a large quantity of timber from the region was sold in the area around Hanoi (Cossalter 1988: 4). Local demand for non-industrial wood meant that of 10 logs harvested perhaps only one or two would eventually arrive at the mill (Ohlsson and Byron no date: 12). The Bac Yen Union of Forestry and Industry was created in 1979 to supply the Bai Bang pulp and paper mill, originally from an area of 200,000 hectares of forest land in Ha Tuyen province (Larsson and Birgegard 1985: 6). In 1983, the raw material area, which supplies the mill was expanded considerably, to include a gross area of 1.2 million hectares in Ha Tuyen, Hoang Lien Son and Vinh Phu provinces. “to reduce the pressure being put on the newly established industrial plantations by local people” (Shanks 1994: 83). The project aimed to produce monoculture plantations of eucalyptus and acacia (Shanks 1994: 83) to supply the Mill with raw materials. The project aimed to establish 6,500 hectares per annum of fast growing species (Stahl 1990: 13). “It is often necessary to start large scale plantations without having complete and reliable local information about what to plant. Industries cannot be left standing with little or no wood while the foresters wait for perfect information . . . In this the Vinh Phu plantations are no exception” (Stahl 1990: 8). In practice trial plantations had been established, but tree cutting and collection of leaf litter for fuel was a major problem in many plantations soon after they were established (Shanks 1994: 83) (Cossalter 1998: 1). The choice of Eucalyptus camaldulensis as a lead species relied heavily on a species trial established in 1979, but cutting by the local villagers, grazing of buffaloes, termite attacks and weed competition meant that the plots were seriously damaged or had disappeared entirely within five years. In addition measurements were irregular and data was lost. According to a consultant, “In 1984 the only data available on this trial were the measurements at age 1 and 2 in all four sites and the measurements at age 5 in Thanh Ba which was the site with the poorest potential” (Stahl 1990: 24). A similar fate befell a trial established in 1985, involving three provenances of Eucalyptus camaldulensis, and seven other species. Cutting and damage caused by buffaloes meant that the trial could not be statistically evaluated (Stahl 1990: 26). These problems, illustrate an important aspect of plantation development in Vietnam. Land which foresters and government officials often assume to be “empty” or “barren” is often not at all empty, but is used for a variety of purposes important to the communities living there. Although there may be little or no tree cover, the “bare hills” are of great value for fodder and fuel and for temporary crop production (Shanks 1994: 82). Conflicts are therefore common, when such land is earmarked for industrial plantations. Plantations are destroyed through grazing or are simply cut down by villagers (Ohlsson and Byron no date: 12). In 1995, for example, a trial plantation of clonal Eucalyptus camaldulensis in Gia Thanh commune, Vinh Phu province was damaged in its fourth year through cutting by villagers (Nguyen Sy Huong 1995: 12). Further problems included the fact that attempts to set up village plantations were often unsuccessful at least partly because villagers were given poor quality seedlings which had been rejected for industrial plantations. Much of the land available to villagers for planting was infertile, compacted and highly eroded (Midgley 1989: 36). The difficulties associated with the establishment of large scale industrial plantations eventually led to a change of direction in SIDA’s aid. Swedish contributions to the Bai Bang pulp and paper mill finished on 1 July 1990 (SIDA 1989: 38) and in June 1991, the Plantation and Soil Conservation Project was terminated, to be replaced by the Swedish-Vietnamese Forestry Cooperation Programme (Stahl 1990: 18). Interforest won a new contract with SIDA. The Forestry Cooperation Programme covered five provinces (the existing raw material area, plus Ha Giang and Lao Cai) and aimed to help enable farming families and organisations to plant trees on land recently allocated under the 1988 Land Law (Shanks 1994: 85). (See section on Land Law, above.) Instead of the target driven social forestry afforestation projects under the Plantation and Soil Conservation Project which involved seedling distribution and centrally controlled nurseries, the new project focussed on farm-level forestry. Projects were started in a few pilot communes and villages in each province. Community nurseries were established to supply a wide range of species to farmers (Shanks 1994: 89). Meanwhile the mass seedling delivery system was maintained, outside the farm-level forestry project pilot villages. In some cases, both systems existed side by side (Shanks 1994: 91-92). These SIDA-funded projects did not prevent large scale logging in natural forest both in the “raw material area” and in neighbouring provinces to meet the demand for raw materials to feed the mill. In 1993, Le Thac Can, of the National Environmental Research Programme in Vietnam, carried out an independent study which reported that in the 10 years since the mill was completed, more than 80,000 hectares of mostly natural forest had been cleared to supply the mill (Le Thac Can et. al. 1993). Since 1990, farmers and companies were allowed to sell bamboo and wood to the mill. According to Le Thac Can, this led to rapid depletion of bamboo and trees from village woodlots and still further deforestation (Le Thac Can et. al. 1993). Nguyen Xuan Xuyen of the Union of Vinh Phu Paper Pulp Companies argues that private companies supplying Bai Bang had “seriously damaged forests since they operate as brokers between sellers and producers and unfairly exploit local people by classifying their products at lower standards, and therefore at lower prices than their actual value. They evade taxes and even supply fake goods” (Nguyen Xuan Xuyen 1996: 85). In 1996, the Vinh Phu Paper Raw Material Company became the sole provider of logs to Bai Bang, sourcing wood from forest enterprises and private growers – including forest enterprise workers planting on forest enterprise land and private farmers (Blower et al 1999: 39). In the mid-1990s, pulp had to be imported to keep the mill going. In 1995 around 30 per cent of the raw material supplied to the Mill was in the form of imported pulp, leading to an increase in paper production costs (VN 1995: 2). “Bai Bang Paper mill has been in operation for 14 years and has been operating at a fraction of its capacity. The Mill was running at a loss. This is all the more remarkable given the fact that during more than 10 years they have received government subsidies and SIDA aid, 45,000 hectares of plantations assisted by SIDA have been established (costing US$680 per hectare) and the paper industry presently benefits from a total ban on paper imports, up from 40 per cent import tax in previous years” (Frankefort 1994: 23). In 1996, Nguyen Ngoc Lung of the Department for Forestry Development, pointed out that even with the massive investment in plantation development at Bai Bang, the mill still relied on “a large volume of bamboo which is collected from nearby natural forest areas” (Nguyen Ngoc Lung 1996: 5). Sida’s 1999 evaluation of Bai Bang states that, “doubts still remain about the commercial viability of plantations. At current log prices and growth rates, non-subsidised interest rates are too high to make plantation investments viable. Enterprises need tax exemptions for the first and second rotations to ensure viability” (Blower et al 1999: 49). The impact of establishing fast-growing tree plantations on communities living in the area is one aspect of the Bai Bang project that has never been studied in any detail. In February 1973, SIDA officials noted in a draft internal memorandum that 85,000 “forest-dwelling slash-and-burn cultivators” would be prevented from using the forest because of the commercial forestry operations. However, the Vietnamese government insisted this was an internal affair and did not permit SIDA to investigate further (Jerve et al 1999: 56). SIDA accepted this position and re-wrote the draft memorandum to replace the figure of 85,000 people, with “an unknown number of persons” who would be affected (Jerve et al 1999: 70). Part of Sida’s 1999 Bai Bang Evaluation Report included research carried out in 1997 by Mandy Thomas, an anthropologist at the University of Western Sydney, on the social impact of the project. Thomas concluded that the mill has had a “very positive impact on the immediate locality”, by providing secure employment and economic, educational and social benefits for its workers. The total number of jobs created by the mill is around 25,000, including forest workers, material supply companies and other businesses. She points out however, that “The mill cannot be said to have had more than a marginal influence on living standards more broadly, even at the district level”. 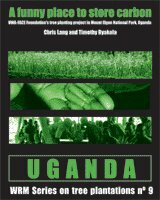 Thomas states that the government’s land allocation programme and the “benefits of forestry development projects are responsible for the significant improvements in living conditions” (Thomas 1997). In April 2000, the mill employed 3,500 people and the town of Bai Bang has grown to a population of 23,000. The mill includes a 28 MW coal-fired power station, which sells surplus electricity to the state (Lang 2000). In 2001, the mill produced 72,840 tons of paper, more than 30 per cent above its designed capacity (VN Panorama www 1). Protected from cheap imports of paper the mill runs at a profit, even though its paper costs more to produce than paper on the international market. In December 2001, work on expanding Bai Bang was reported to be about to start (paperloop.com 7 December 2001). The plant is to be expanded from a capacity of 55,000 tons of paper a year to 100,000 tons. At the same time, annual pulp capacity will be increased from 48,000 tons to 61,000 tons. This represents the first stage of a plan to increase the mill’s annual paper capacity to 200,000 tons and pulp capacity to 150,000 tons (Vietnam Panorama www 1). The cost of the works is estimated at US$50 million (Tran Doan An 2001). Funding for the expansion of the mill from Scandinavia. In 2000, Vinapimex obtained US$42 million in loans from three Nordic banks to fund the rebuilding of the mill (pponline.com 29 September 2000). Rolf Samuelsson, Sweden’s First Secretary, Development Cooperation in Hanoi, said in April 2000, that Sida was involved in discussions about the expansion of Bai Bang. He said, “it is a commercial venture, commercial interests from Sweden, but there are certain credits provided I understand, not for only Swedish companies, there are others who have shown an interest” (Samuelsson 2000). On 21 November 2001, the Nordic Development Fund agreed a US$6.3 million loan towards the expansion of the mill (NDF www 1). On 30 November 2001, the Swedish Government agreed to provide a preferential credit of US$12.5 million to fund the first phase of the expansion (Vietnam Panorama www 1). Viet Tri is a 25,000 tons a year paper mill producing kraftliner and coated wrapping paper in Phu Tho province, in the north of Vietnam. The mill imports its raw material (Tran Doan An 2001). In September 2000, several Korean banks granted loans to help finance a US$26 million industrial paper expansion at Viet Tri. Daewoo, which provided the paper machine, helped Vinapimex to negotiate and guarantee the loans (pponline.com 29 September 2000). In December 2001, Vinapimex had almost completed the installation of a new 25,000 tons a year packaging paper machine at its Viet Tri mill (paperloop.com 17 December 2001). Tan Mai Paper Company in Dong Nai province, is a state-owned business belonging to Vinapimex. The mill’s paper capacity has expanded from 10,000 tons a year in 1990, to 48,000 tons a year in 2000. Newsprint production accounts for 50 to 60 per cent of the company’s capacity. Equipment suppliers to the mill include ABB, Thermo Black Clawson, Allimand, Valmet, Ahlstrom and Sund Defibrator (Tan Mai www 1). In 1995, Trang Hoai Nghia, vice manager of production at Tan Mai, said that there was a problem getting spare parts for machinery as much of it was installed as part of aid projects from overseas (US, Sweden, France). He said it took up to three months to obtain spare parts (Trang Hoai Nghia 1995). In 1991, a Swedish-funded environmental survey of the mill was carried out (Trang Hoai Nghia 1995). The mill originally used pine from Lam Dong province as raw material. Because there was not enough pine to supply the mill, machinery in the mill was adjusted to utilise eucalyptus as raw material. Trang Hoai Nghia added that problems securing raw material for the mill were made worse by the foreign-funded wood chip mills in Vietnam, which export chips to Japan, Taiwan and Korea (Trang Hoai Nghia 1995). In its review of the year 2000, Pulp and Paper International reported that Tan Mai recently started a new 20,000 tons a year paper line, which relies on imported raw material (Tran Doan An 2001). In June 2001, Tan Mai Paper Company posted a US$1.1 million loss in the first four months of the year, as a result of its dependence on imported raw materials. The company bought up pulp at the end of 2000, when the price was high. In early 2001, the price fell, causing the company to lose about US$70 for each ton of paper produced. In 1999, Tan Mai Paper made a loss of US$960,000, which the company also blamed on the cost of importing raw materials (Saigon Today 19 June 2001). Dong Nai Paper Material Company is a subsidiary of Vinapimex. The Director of the company is Ninh Due Yen (Saigon Times 29 August 2001). The company has plantations in Dong Nai, Binh Phuoc, Dac Lac, Kontum and Binh Thuan provinces, supplying raw material to its 14,000 tons a year pulp and paper mill in Dong Nai province (VNA 2001c). In August 2001, Saigon Times reported that the Company had made an agreement with plantation owners in Lam Dong province to grow 3,000 hectares of pine (Saigon Times 29 August 2001). Swedish experts provided advice on the rehabilitation of Dong Nai pulp and paper mill (Blower 1999: 80). In December 2001, Vinapimex abandoned plans to rebuild its paper machines at its Dong Nai mill and decided instead to install another machine (paperloop.com 6 December 2001). In August 2001, the government approved a Vinapimex feasibility study on a project to establish plantations to supply a new paper mill in Kontum province in the Central Highlands. The government agreed to fund seven per cent of the US$240 million project. The remainder is to come from international official development assistance. The government will purchase land-use rights and finance construction of roads, research facilities, health clinics and schools. The project is to be exempt from land tax for the first tree cycle. The plantations are to be managed by the Dong Nai Paper Material Co (see above) (Vietnam Economy 2001). The new pulp and paper mill is to be built at Dakto, in Kontum province. According to sources in Vietnam, there has been some Finnish involvement in the project. At a seminar organised by Kvaerner and Vinapimex in Ho Chi Minh City in December 2001, a Kvaerner representative presented “specific calculations” for building the mill in Kontum (Saigon Times 2001). The Mang Yang Pulp and Paper Company is managed by the Gia Lai Province People’s Committee. The company was established in 1991. In 1992, the company received funding from SIDA to establish a 500 hectare eucalyptus “model pulpwood plantation”. Consultants from the Vietnam-Sweden Forestry Cooperation Programme provided advice on forestry economic analysis, climate and soil analysis and marketing (Truong Ngoc Thanh 1996: 71). In November and December 1993, two New Zealand consulting firms, Forenco and ANZDEC, produced a report on site identification and feasibility of joint venture industrial plantations in Vietnam (Bannan 1996: 78). The consultants looked at three potential sites in Thanh Hoa, Binh Dinh and Gia Lai provinces and concluded that Gia Lai province and particularly the Mang Yang area, was the most suitable. Forenco produced a feasibility report for a 20,000 hectare industrial plantation project in Gia Lai province (Bannan 1996: 78-79). Since the report was completed in February 1994, Forenco has arranged meetings with investors from Japan, Indonesia, New Zealand, Malaysia, Singapore and Thailand. However, although representatives from the Thai company visited the site in December 1995, they did not invest in the project (Bannan 1996: 79). Between 1992 and 1996, the Mang Yang company established 3,000 hectares of plantations (Gia Lai Planning and Investment Department 1996: 101). The Mang Yang company plans to sell its wood to the Quy Nhon woodchip mill, which is about 150 kilometres away (Truong Ngoc Thanh 1996: 74-75). The proposed pulp mill in Kontum (see above) would provide another market for Mang Yang’s wood. The Muc Son Paper Enterprise, in Thanh Hoa province, produces plain or dyed packaging paper. Vinapimex plans to build a 50,000 tons a year packaging paper mill at Thanh Hoa. In 2001, the project was reported to be delayed (Tran Doan An 2001). In 1998, New Toyo of Singapore started up a 20,000 tons a year tissue paper mill in Binh Duong province in the south of Vietnam (Tran Doan An 1999). In May 2000, the Vietnam News Agency announced the opening of a 720 tons a year paper mill in Binh Duong province. The Taiwanese Daily Full Company funded the US$25 million mill. The mill supplies high-quality paper for domestic use and for export. The project is one of 130 Taiwanese projects, with an investment capital of US$430 million, operating in Binh Duong province in 2000 (VNA 2000a). Hapaco was one of the first five companies listed on Vietnam’s stock market. Based in the northern port city of Haiphong, the company produces tissue paper for the domestic market and exports fake bank notes, which are used in religious ceremonies, to Taiwan. In 2000, the company made a net profit of US$600,000, with a total revenue of US$5.2 million (Reuters 12 January 2001). The tissue paper project was planned in 1996 as joint venture between Vinapimex and the Korean company Ssangyong Paper Co. Later the project was to be a joint venture with Korea’s Daewoo, Hansol and Vinapimex, but the joint venture fell through when Daewoo failed to contribute funds, because of the Korean parent company’s financial problems. In October 2000, Hapaco dropped the joint venture plan and instead invested US$4.7 million in a new packaging mill and a new tissue machine. Hapaco raised the money instead through a convertible bond issue. The tissue machine was supplied by a Chinese company. The chairman of Hapaco is Dong Hien Vu (pponline.com 11 October 2000). At the end of 2001, Vinapimex was reported to be gearing up to start tests on a new 10,000 tons a year tissue mill at its Cau Duong mill, nine kilometres from Hanoi. The unit was supplied by Daewoo of Korea. Cau Duong is primarily a plywood mill producing 5,000 square metres a year (paperloop.com 7 December 2001). Established in 1995, the Le Hao Paper Company produces paper for students, note books, photocopy paper and a range of large sized paper formats. The company uses reels of plain paper bought from local suppliers as raw material. Le Hao Paper Company employs about 100 people. In 2001, the company received funding through the IFC’s Mekong Project Development Facility (MPDF) to move to the Tan Tao Industrial Zone and to upgrade its equipment (MPDF 2001a). IFC rated the project under Environment Category B, which would normally mean that IFC would make information about the project publicly available. However, because the project is funded through MPDF the Environmental Review Summary will only be locally available (although IFC manages the MPDF) (MPDF 2001a). NDK was established in May 2001, to produce pulp, paper and act as a consultant to the paper industry. The company’s head office is in Ho Chi Minh City (MPDF 2001b). NDK received a loan from the IFC-managed Mekong Project Development Facility (MPDF) to build a pulp mill in Nhon Trach Industrial Park in Dong Nai province. The 15,000 tons a year mill is to use recycled paper as raw material (MPDF 2001b). The director of the company, Dr. Nguyen Dang Khanh, spent three years studying paper processing technology in Sweden (MPDF 2001b). As with the Le Hoa Paper Company (see above) IFC side-steps the need to make reports on the project public, because the funding is through the MPDF. The Saigon Paper Company has a capacity of 10,000 tons a year. In June 2001 a new 3,600 tons a year carton paper assembly line came into operation. The company was established in 1997 and specialises in carton and sanitary paper. Saigon Paper plans to expand into pulp production in the future. The director is Cao Tien Vi (Saigon Times 14 June 2001). The Quy Nhon Plantation Forest Company, in Binh Dinh province, is a US$14 million, Japanese-owned project aimed at planting 13,000 hectares of acacia and eucalyptus trees (see also Nissho Iwai below). The plantation is to supply a 50,000 tons a year wood chip mill for export to Japan. The project was licensed in 1994, but by 2001 had only received 62 per cent of the land for the plantations. The general director of the operation, Kironobu Ohara, told the Vietnam Investment Review that “The land problem is increasing the risks for projects in plantations and wood processing projects which normally require huge, long-term capital investment but produce slow returns” (VIR 2001). The Quy Nhon Plantation Forest Company is owned by three Japanese investors: Oji Paper (51 per cent); Nissho Iwai (39 per cent); and Dai Nippon (10 per cent) (Akira Hatakeyama 1996: 67). The company describes the land it is planting as “short fine-leaved grasses, shrubs and scattered coppice of big trees within the family Dipterocarpaceae. The natural forest has been converted into shrub and grassland as a result of previous deforestation” (Akira Hatakeyama 1996: 68). The company admitted in 1996 that “the proposed sites include plots of cultivated land already owned by local people” and that “damage caused by cattle is very serious and unavoidable” (Akira Hatakeyama 1996: 69). In 2001, in conjunction with the Vietnam Forestry Corporation, Nissho Iwai completed a 140,000 tons a year particle board factory at Vung Ang Port in Ha Tinh province. To supply the factory, 40,000 hectares of plantations have been established in Nghe An, Ha Tinh and Quang Binh provinces. Another 10,000 hectares has been planted at the Bac To plantation in Quang Ngai province. The Vietnam Forestry Corporation plans to establish a further 30,000 hectares of plantations in Quang Ninh and Lang Son provinces to feed to factory (Vietnam News 28 February 2001). In June 2001, the Saigon Times reported that Nissho Iwai planned to set up a new US$1.5 million wood chip plant. Nissho Iwai will take a 60 per cent stake in the operation and a state-owned forest product exporting agency would own the remaining 40 per cent. The wood chip plant is due to start operations in 2002. All its products will be exported to Oji Paper, a Japanese company (see below) (Saigon Times 12 June 2001). Nissho Iwai also plans to increase capacity in an existing wood chip mill by 15 per cent to 150,000 tons a year. Nissho Iwai’s wood chip production target for the year 2002 is 400,000 tons – up from 130,000 tons in 2000 (Saigon Times 12 June 2001). Oji Paper, Japan’s second largest paper manufacturer, started to establish trial plantations at two forest enterprises in Song Be province in the south of Vietnam in 1991. The aim was to establish species and provenance trials leading to a US$5.7 million industrial plantation covering 13,000 hectares to supply wood chips for export (VN 1994a: 1). The trial plantation project was run in conjunction with the Forest Science Institute of Vietnam, and is the initial stages of a joint venture between Oji Paper Company Limited and the Ho Chi Minh City office of the Japanese trading house Nissho Iwai Corporation (VN 1994a: 1). The joint venture company was named the Dong Phu Plantation Forest Company of Vietnam. The land allocated for the trial plantations was previously forested, and a significant proportion of site preparation costs went on clearing the existing vegetation. Once the trial was planted, termites proved to be a problem and destroyed 14 per cent of trees in the first year. Termites were eradicated through spraying DDT, a practice in accordance with the joint venture company’s guidelines, drawn up especially for the establishment of Acacia and Eucalyptus plantations in Vietnam (Dong Phu 1994: 8). However, the cost of land in Song Be province increased dramatically during the species and provenance trials, and the site of the commercial plantation has been relocated. In May 1995, the Vietnamese government gave approval for the plantation to be established in Binh Dinh province (Saigon Times 18-24 May 1995). (See section on Quy Nhon Plantation Company, above.) Soils and climate are quite different in Song Be province and Binh Dinh province, therefore making the Song Be trials irrelevant. Oji Paper plan to retain the trials in Song Be to provide a seed nursery for future plantations in Vietnam. Itochu Corporation (formerly C. Itoh & Co.) is one of Japan’s largest general trading companies. According to reports in 1993, the company acquired 5,000 hectares of state owned land in Vung Tau province in southeast Vietnam, with the aim of establishing a wood chip supply to Japan. Itochu set up a joint venture with Southern Forest Resource, a Hong Kong speciality trader, which was to carry out the planting and wood chipping operations. Acacia was planned to be planted at a rate of 1,000 hectares per year, and the first harvest was to be in 1997. Chips are to be processed in Vietnam and sold by Itochu Corporation to Chuetsu Pulp Industry Co. Ltd. a medium sized Japanese paper manufacturer which is part of the Oji Paper group. In 1992, Itochu traded the first exports of wood chips from Vietnam to Japan, with shipments of over 25,000 tons of wood chips. By 1998 Itochu aimed to import around 80,000 tons from Vietnam (Nihon Keizai Shimbun 1993). Vijachip is a woodchip mill in Danang. The mill is a joint venture between a Japanese company and a Vietnamese state company. The wood chips are exported to Japan. At a presentation in 1996, Toyotaro Fujiwara of Vijachip stated that “We have invested 1.2 million dollars to create 4,600 ha of plantation” (Toyotaro Fujiwara 1996: 58). He complained that his company could not afford to pay the 15 per cent tarrif on exports of wood chips, imposed by the Vietnamese government in July 1995 (Toyotaro Fujiwara 1996: 58). Two wood chip mills operate in Ba Ria-Vung Tau province: the Vinh Hung company (a company with Taiwanese involvement) and the VICO company (Vietnam-South Korean Paper Joint Venture). Both wood chip mills produce for export, mainly to Japan (Ngo Duc Hiep 2000: 7). The problems associated with wood chip mills for local communities is illustrated by the Xuyen Moc State Forest Enterprise. Although the Xuyen Moc SFE has made a profit for a number of years (Vu Hoai Minh et al 2000: annex 2: 15), because wood from the SFE is exported it does not help village-level shortages of wood (Ngo Duc Hiep 2000: 4). As a result, a report produced by consultants for PROFOR explains, “the local people, especially the poor, exploit wood in the remaining natural forests” (Ngo Duc Hiep 2000: 9). Instead of serving local communities’ needs, the SFE is serving the needs of woodchip mill operators and feeding the demand for timber in South Korea and Taiwan. The Kien Tai project is a joint venture between the Taiwanese consortium Central Trading and Development (CT&D) and the Vietnamese provincial authority of Kien Giang province, to establish 60,000 hectares of fast growing Eucalyptus trees for export as wood chips to Taiwan (Holmes 1994: 12). The joint venture was established in June 1991, and was one of the first joint ventures to start establishing plantations in Vietnam (Dinh Trung Chanh 1996: 60). The site consists of acid sulphate soils in the Mekong delta, and serious problems were created when the company started planting. Because the area floods, the company dug mounds for the trees and thus exposed the yellow sulphite layer in the soil. During the wet season, flooding and run off from the site led to the acidification of local canals, killing fish and making the water unfit for drinking. Floods in the region are up to two metres deep each year, and after three years many of the trees had either stopped growing, died, or fallen over. Far from the land being put into productive use, the soil structure has been damaged, and local water courses poisoned. The Vietnam State General Company for Forestry (Vinafor) plans to build a factory to produce 54,000 cubic metres a year of medium density fibreboard (MDF). By 2005, Vinafor plans to establish plantations covering approximately 26,000 hectares to supply raw material to the factory (Salmi et al 1999: 116). In January 2001, the Vietnam News Agency announced that the factory would be “officially put into operation by the end of the year” (VNA 2001a). Two factories producing MDF have been opened in recent years in Gia Lai. The Vietnam Forestry Corporation plans others in Hoa Binh, Dong Nai and Quang Ngai provinces. The deputy general director of Vinafor, Pham Trong Minh told Ha Noi Moi newspaper in early 2001, that “raw materials for these factories is in desperately short supply” (Vietnam News 28 February 2001). Pham Trong Minh added “The biggest challenge is the lack of land for forestation. . . . Of bare land areas, about 10 per cent is especially suitable for forestry and accessible to transport routes. However, some of this has been occupied by immigrants who have built farms and planted tea, coffee and other cash crops” (Vietnam News 28 February 2001). GFA Terra Systems is a German consulting firm, with its headquarters in Hamburg. Founded in 1982, the current company is the result of a merger between GFA Agrar and LUSO Consult, and is part of the GFA LUSO Group. GFA Terra Systems works in the fields of agriculture, forestry and rural development. The company is divided into five regional departments covering: Africa; Asia; Europe; Latin America and the Caribbean; and Maghreb and the Middle East (GFA www 5). 1980: Ministry of Light Industry – Technical Assistance in the development of a pulp and paper mill project (Jaakko Poyry no date). Support to the Social Forestry and Nature Conservation Project in Nghe An Province: EU funding, started in 1997. The UNDP Global Programme on Forests (PROFOR): UNDP funding, started in 1998. Orgut assisted MARD in designing the project and has a long-term Field Adviser (Hans Warfvinge) as well as national consultants working on the project. Orgut provides consultancy services to MARD relating to meetings in the International Support Group. Vietnam-Sweden Forestry Cooperation Programme: Sida funding, 1991-994. Orgut consultants worked on the Vietnamese Forestry Sector Review (1989-1991), part of Vietnam’s TFAP. Elof Hansson is the biggest Swedish trading firm, with its headquarters in Gothenburg. In 2001, the company finalised a contract to supply equipment to the expansion of the Bai Bang pulp and paper mill. Elof Hansson prepared a bid representing Swedish industry for the expansion of the Bai Bang mill (Sida 1998: 21). Elof Hansson has also negotiated an agreement between Sunds Defibrator (represented by Hansson) and a group of Vietnamese businesses. Sunds Defibrator is looking to win contracts on 40 fibreboard mills proposed by the Ministry of Agriculture and Rural Development for remote areas of Vietnam. According to Sida, “Plantation forestry to support the fiber board factories will be modeled after the plantations created in the Swedish-supported forestry program connected to the Bai Bang project” (Sida 1998: 21). Elof Hansson produces no goods of its own, but deals in imports and exports of forest products (pulp, paper and timber), industrial products (machinery, building materials and steel) and consumer products (home electronics and electrical household appliances) (Elof Hansson www 1) (Wolsfeld no date). Elof Hansson founded the company in Hamburg in 1987 and moved to Sweden in 1914 at the start of World War I. From the start, the company sold pulp overseas, including to Japan and Latin America. Through its contacts with agents, banks and customers, in these countries, the company was well positioned to “create new opportunities for manufacturers of typical Swedish export products,” according to the company’s web-site. Since 1945, the company has established new markets in China, India, Africa, the Middle East and Eastern Europe (Elof Hansson www 1). Through a subsidiary in New York, Elof Hansson Inc, the company became one the leading exporters of North American pulp, exporting mainly to Europe, Latin America and the Far East (Elof Hansson www 1). Asia and Australia (Elof Hansson www 1). The company’s president in Thomas Pettersson. In Vietnam, the company has offices in Ho Chi Minh City and Hanoi which sell pulp and paper machinery in Vietnam, Laos and Cambodia (Elof Hansson www 1). In 1995, Elof Hansson was accused of being involved in a price fixing cartel on imported Japanese fax paper sold in the US from August 1991 to March 1992 (US Department of Justice 1995). In 1989 Stephen Midgley of CSIRO travelled to Vietnam, Laos and Cambodia on a technical advisory visit for the Australian Tree Seed Centre. Midgley recommended that Australia should continue to provide technical literature, and establish seed orchards in Vietnam. “It would seem logical that Australia, with the appropriate scientific expertise and genetic material, could make a unique contribution in this regard,” he wrote (Midgley 1989: 29). ACIAR was established in 1982, “to mobilize Australia’s research expertise to help solve problems limiting agricultural production in developing countries” (ACIAR 1991: 3). ACIAR contracts scientific organisations in Australia to set up collaborative research projects on problems of “mutual interest” with counterparts in other countries. It also aims to allocate funds to conduct research to benefit from Australia’s tree genetic resource “that gives Australian scientists a comparative advantage in the search for appropriate species for the reforestation effort in degraded tropical environments” (Boland and Turnbull 1989: 13). Vietnam Advanced Building Systems Ltd (Pre-engineered steel building production) (CDC no date b). Recherche Agronomique pour la Developpement, and has its origins in French colonial tropical forestry agencies. (National Research Council 1991: 119). In 1916, France set up a programme to cover France’s needs for aviation-quality timbers from the tropics. In 1923, the Colonial Forestry Service was established. In 1924, a colonial forestry research institute at Nogent-sur-Marne was established. The CTFT had its roots in the Section Technique Forestiere at Nogent (Bedel and Brown 1998). In 1948, the CTFT was established to undertake research in tropical forestry. Its mandate was to undertake research on colonial forestry and timber, partly to help meet the demand generated by post-second world war reconstruction. The centre worked on several industrial projects, including work on sawn timber production in Cameroon and plywood in Gabon. In 1963, the Burea des Etudes Techniques (BET) was established within the CTFT leading to the involvement in many projects in former colonies, including forest inventories, training programmes, plantations projects, paper mills and silvicultural studies (Bedel and Brown 1998). In 1984, CTFT was incorporated into CIRAD (Centre de Cooperation Internationale en Recherche Agronomique pour le Developpement) as a new department (Bedel and Brown 1998). CTFT concentrates on a small range of mainly industrial species, including eucalyptus, Pinus caribaea, Tectona grandis, Gmelina arborea, Acacia mangium and A. auriculiformis (National Research Council 1991: 119). CTFT (along with CSIRO and other forestry research institutions) carried out research in the early 1970s into the pulping of mixed tropical hardwoods, research that was to have a major impact on both the pulp and paper industry and forest cover in the tropics. In Vietnam, in the mid-1990s, CTFT was acting as technical advisor on an ambitious joint venture between a French company, VMH, and Liksin, a Vietnamese printing and paper company. The total proposed investment was US$17 billion, which would have included new pulp mills, establishment of new port facilities, as well as a huge expansion in raw material plantations. The project planned to establish 200,000 hectares of Eucalyptus plantations in the south and central highlands of Vietnam. The CTFT input began in early 1990 and involved the establishment of a research and training centre, in collaboration with the Forest Science Institute of Vietnam (Midgley 1989: 51). ADB (1994) Bank Resumes Lending to Vietnam. ADB Quarterly Review. January 1994, Asian Development Bank, Manilla. Ahlback, A. J. (1995) On forestry in Vietnam, the new reforestation strategy and UN assistance, Commonwealth Forestry Review 74 (3): 224-229. Akira Hatakeyama (1996) The Quy Nhon Plantation Forest Company of Vietnam Ltd Initial Results for 1995, in FAO (1996a). AP (2001) Forested Areas In Vietnam Increase To 33.2% Of Country, Associated Press, 8 January 2001. ACIAR (1991) Review of ACIAR, Forestry Newsletter, Number 12, Australian Centre for International Agricultural Research September 1991. Bannan, K. (1996) The Process of Project Development: A Paper Pulp Plantation in Gia Lai Province, in FAO (1996a). Bedel, J. and D. Brown (1998) France. In Shephard, G., D. Brown, M. Richards and K. Schreckenberg (eds) (1998). Blower, N., Ngo Minh Hang, A. Jamieson, A. McCarty, D. Pearce, Pham Quang Hoan, D. Quirke, Nguyen Quoc, M. Thomas, Do Thi Binh, Hoang Van Hoa, B. Warner, D. Vincent (1999) Paper, prices and politics: An evaluation of the Swedish support to the Bai bang project in Vietnam. Centre for International Economics. Sida Evaluation 99/3, Stockholm. Boland, D. J. and J. W. Turnbull (1989) Australian Species for Fuelwood and Agrforestry in China, Kenya, Thailand and Zimbabwe, in Boland, D. J. (ed.) Trees for the Tropics Growing Australian Multipurpose Trees and Shrubs in Developing Countries, ACIAR, Canberra. Canadian Government (no date) Case Study: Non-Canadian Funding Source: Canadian Government Case No. 1 The use of non-Canadian funding agencies. Carew-Reid, J., S. Poynton, Chu Tri Thang, Olivier Dubois, Mark Halle, Thor Larsen, Le Duc Trung, Le Thac Can, Nguyen Minh Tu, Dara O’Rouke and Vu Xuan Nguyen Hong (1999) A Study on aid to the environment sector in Vietnam. Ministry of Planning and Development, United Nations Development Programme, Hanoi, November 1999. Carle, J. (2002) FW: Request for Information, e-mail to Chris Lang from Jim Carle, FAO, 18 April 2002. Chossudovsky, M. (1994) Vietnam’s New War, Third World Resurgence, no. 47: 12-21. CDC (no date b) Details of subsidiaries and associates. London: CDC Group. Competition Commission (www 1) Summary of Commonwealth Development Corporation: A resport on the efficiency and costs of, and the service provided by, the Commonwealth Development Corporation. UK Government Competition Commission web-site accessed 12 March 2001. Collins, N., Sayer, J. and Whitmore, T. (eds) (1991) The Conservation Atlas of Tropical Forests Asia and the Pacific, IUCN/Macmillan, London. Cossalter, C. (1988) Report on Tree Improvement and Silviculture of Eucalypts and Acacias at the Vinh Phu Pulp and Paper Mill Project – Vietnam, Department of Forestry, Food and Agriculture Organisation, Rome, September 1988. Dinh Trung Chanh (1996) Experiences in the Development of Industrial Plantations in Kien Giang, in FAO (1996a). Dong Phu Plantation Forest Company of Viet Nam (1994) Manual for Acacia and Eucalyptus plantations in Viet Nam (Temporary Document), Dong Phu Plantation Forest Company of Viet Nam. Doran, Dr. J. C. and Prof Vo Quy (1993) Australia-Vietnam Forestry Development Project Fourth Year Evaluation, Report to the Overseas Service Bureau, Australia, April 1993. Elof Hansson (www 1) The Company Elof Hansson web-site: http://www.elof-hansson.se accessed 30 March 2002. ENS (1997) Reforestation Loan for Vietnam, Environment News Service, 4 April 1997. FAO (www 1) Forestry projects currently being implemented by FAO in Viet Nam. Food and Agriculture Organisation web-site accessed 13 December 2000. FAO (1995) National Forestry Action Programmes (NFAP) Update no. 32, NFAP Support Unit, Forestry Unit, Food and Agriculture Organisation, Rome. FAO (1996a) National Workshop on “Strengthening Industrial Plantation Programmes in Vietnam”. FAO Regional Project “Strengthening Re-afforestation Programmes in Asia (STRAP), Department of Forestry Development of Ministry of Agriculture and Rural Development (MARD) and Japan International Cooperation Agency (JICA), Pleiku, Gia Lai, Vietnam, 9-11 January 1996. FAO (1996b) Final Evaluation Mission, Strengthening Reafforestation Programmes in Asia (STRAP), GCP/RAS/142/JPN, Rome, May 1996. Flashtec (no date) Vietnam Development Aid..
Flashtec (1995) Vietnam Paper and Pulp Industry. Fortech (1998) Program 327: Review for the Vietnam Rural Development Strategy prepared for the World Bank. Canberra: Fortech. May 1998. Frankfort, D. (1994) Wood Market Survey for Proposed WFP-Assisted 5322 Project, draft, World Food Programme, 13 September 1994. GFA (www 1) Forestry Sector Project (ADB), GFA Terra Systems Asia Department web-site accessed 27 March 2002. GFA (www 2) Social Forestry Development Project Black River (Song Da) (GTZ), GFA Terra Systems Asia Department web-site accessed 27 March 2002. GFA (www 3) Afforestation in Ha Tinh, Quang Binh and Quang Tri Provinces (KfW), GFA Terra Systems Asia Department web-site accessed 27 March 2002. GFA (www 4) Afforestation in Bac Giang, Quang Ninh and Lang Son Provinces (KfW), GFA Terra Systems Asia Department web-site accessed 27 March 2002. GFA (www 5) Welcome to GFA Terra Systems, GFA Terra Systems web-site accessed 27 March 2002. Gia Lai Planning and Investment Department (1996) Investment Potential and Prospects. Gia Lai Planning and Investment Department, Gia Lai Province. Government of Vietnam (GOV) (1992a) No. 264-CT Decision by the Chairman of the Council of Ministers on policies encouraging investment for forestry development, Hanoi 22 July 1992. Unofficial translation by Pham Minh Nguyet and Hans Warfinge, July 1993. Government of Vietnam (GOV) (1992b) No. 327-CT Decision by the Chairman of the Council of Ministers on policies for the use of bare land, denuded hills, forests, alluvial flats, and water bodies, Hanoi 15 September 1992. Unofficial translation by Pham Minh Nguyet and Hans Warfinge, July 1993. Gray, K. M. (1991) Fuelwood Supply Analysis, Technical Report No. 9, Forestry Sector Review, Tropical Forestry Action Plan, Vietnam, MOF, UNDP, FAO, Hanoi. Hamilton, H. (1989) Vietnamese pulp project helps protect ecosystem, World Wood, 30 (3), June 1989. Holmes, I. (1994) Taiwan leaps forward in Vietnam Infrastructure projects pave the way, Heritage, Vietnam, March/April 1994: 10-14. Houghton, G. (1996) State policy to manage forests in Vietnam, Watershed 1 (2), Bangkok, November 1995 – February 1996: 38-39. Howard, C. (ed.) (1995) Current Land Use in Vietnam Proceedings of the second land use seminar, Bac Thai, Vietnam, 22-23 September 1994, IIED, London, 1995: 26-28. IGP (www 1) Overview of the International Greenhouse Partnerships Program, Department of Industry, Tourism and Resources web-site accessed 11 April 2001. IGP (2001) Project Sheet, Activities Implemented Jointly (AIJ) Project: Viet Nam and Australia, Increased Carbon Sequestration in Plantations Forests through Genetically Improved Planting Stock. Canberra: International Greenhouse Partnerships. Jerve, A. M., I. Norlund, Nguyen Thanh Ha and A. Suhrke (1999) A Leap of Faith: A story of Swedish aid and paper production in Vietnam – the Bai Bang project, 1968-1996. Christian Michelsen Insitute. Sida Evaluation 99/4, Stockholm. Jaakko Poyry (no date) Experience in Asia Pacific. Jaakko Poyry International. Kirchhoff, J.-F., H. Kraienhorst and Ha Van Hung (no date) Poverty Reduction through Reforestation in Northern Viet Nam, GFA Group web-site accessed 27 March 2002. 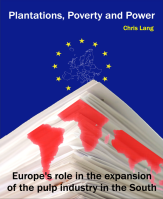 Lang, C. (1996a) A Critique of Vietnam’s Tropical Forestry Action Plan, in Parnwell, M., and R. Bryant (eds) Environmental change in South East Asia, Routledge, London. 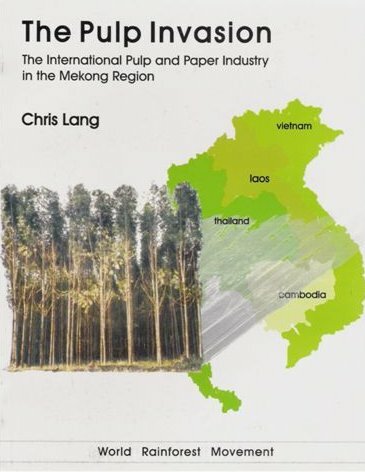 Lang, C. (1996b) Reforestation in Vietnam in the context of the globalization of the pulp and paper industry. MSc in Forestry thesis, Oxford University, September 1996. Lang, C. (2000) Notes from visit to Bai Bang, 5 April 2000. Lang, C. (2001) Commonwealth Scientific and Industrial Research Organisation (CSIRO) and Australia: Carbon dumping in Vietnam. Watershed, Vol. 7 No. 1, July – October 2001: 60-63. Larsson, K. and L-E. Birgegard (1985) Socio-economic study of factors influencing labour productivity in the forestry component of the Vinh Phu pulp and paper mill project in Vietnam, SIDA, Stockholm. Le Chi Ai (1995) Vietnam, Tappi Journal, 78 (6), June 1995: 57-58. Le Thac Can, Dang Trung Thuan, Tran Yern (1993) EIA of Bai Bang Pulp and Paper factory, EIA Unit, National Research Programme on Environment, Hanoi, January 1993. Le Trong Cuc (1992) Vietnam invents its own agroforestry systems, using homegrown advatages, Ceres, 138, November-December 1992: 27-30. MARD (2000) Clarification of the five million hectare reforestation program, Task Force I Report. Ministry of Agriculture and Rural Development, Inrenational Co-operation Department, Partnership for the 5 Million Hectare Reforestation Program. Hanoi, December 2000. MARD (2001a) Synthesis Report, Five Million Hectare Reforestation Program Partnership. Ministry of Agriculture and Rural Development, International Co-operation Department, Partnership for the 5 Million Hectare Reforestation Program. Hanoi, February 2001. MARD (2001b) MARD: ISG Plenary Meeting 30th May 2001, e-mail circulated on enviro-vlc discussion group 26 May 2001. Mekong Secretariat (1991) Mekong Work Programme Ongoing and Proposed Projects, Interim Committe for the Co-ordination of the Lower Mekong Basin, Bangkok, January 1991. Midgeley, S. J. (1989) Seeds of Australia Trees Project Report to AIDAB on a technical advisory visit to Laos, Vietnam and Cambodia, Australian Tree Seed Centre CSIRO Division of Forestry and Forest Products, 17 October – 18 November 1989. Midgley, S. Khongsak Pinyopusarerk, C. Harwood, J. Doran (1996) Exotic plant species in Vietnam’s economy – the contributions of Australian trees. Paper to Seminar on Environment and Development in Vietnam, 6-7 December 1996, National Centre for Development Studies, National University, Canberra. Minchin, N. (2001) Press Release: $1 Million Federal Government Funding for International Greenhouse Initiative, 4 April 2001. MPDF (2001a) Environmental Review Summary, Le Hoa Paper Manufacturing, Mekong Project Development Facility, 15 January 2001. MPDF (2001b) Environmental Review Summary, NDK Paper Pulp Manufacturing, Mekong Project Development Facility, 12 September 2001. National Research Council (1991) Managing global Genetic Resources Forest Trees, National Academy Press, Washington. NDF (www 1) Contracts awarded in 2001. Nordic Development Fund web-site accessed 12 April 2002. Ngo Duc Hiep (2000) Survey of Socio-economic situation and forest resources in Hoa Hiep commune, Xuyen Moc district, Ba Ria-Vung Tau Province. Ministry of Agriculture and Rural Development, UNDP Programme on Forests (PROFOR) Vietnam, Hanoi, March 2000. Ngo Thi Minh Hang (1996) A Cost-Benefit Analysis of Smallholder Investments in Reforestation, in FAO (1996a). Department for Science, Education and Environment, Ministry of Planning and Investment, The Earth Council web-site accessed 14 December 2000. Nguyen Ngoc Lung (1996) Industrial Plantations in Vietnam and their Future Development, in FAO (1996a). Nguyen Sy Huong (1995) Clonal Testing of E. Camaldulensis, Forest Research Newsletter, Vinh Phu, no. 7, December 1995: 10-12. Nguyen Xuan Xuyen (1996) Planting Industrial Forests for The Bai Bang Paper Pulp Factory, in FAO (1996a). Nihon Keizai Shimbun (1993) Wood Chip Production in Vietnam Joint Venture between Itochu Corp. and Hong Kong Trading Company, Japan Economic Journal, 14 August 1993, translated by Japan Tropical Forest Action Network (JATAN). Ohlsson, B., Byron, N. (no date) Forestry in the Context of Rural Development Cases from Vietnam, Centre for Forestry in Rural Development working paper #8, Australian National University, Canberra. Orgut (1999) PROFOR Field Component, Progress Report No. 8, Programme on Forests Vietnam, Ministry of Agriculture and Rural Development, United Nations Development Programme, Hanoi, October 1999. Pesonen, K. (1995) Indo-China P&P industry – its future prospects, Paper Asia, March 1995: 12-18. Phan Huu Thang (1996) Foreign Investment in Forestry, in FAO (1996a). PPI (1995a) 1992-93 The World’s Pulp, Paper and Board Industry: production and trade, Pulp and Paper International, 37 (7) July 1995: 22-23. PPI (1999) Annual Review 1997-98 The World’s Pulp, Paper and Board Industry. Pulp and Paper International Online edition web-site accessed 12 January 2001. Ratcliffe, L. A. (1994) Australia-Vietnam Community Forestry Project, Song Be and Dong Nai provinces, Third progress report, 1 June 1994 to 30 November 1994. Salmi, J, Nguyen Xuan Nguyen, Le Quang Trung (1999) Study on Financing Strategy for Sustainable Forest Management in Vietnam, Ministry of Agriculture and Rural Development, UNDP Programme on Forests (PROFOR) Vietnam, Hanoi, 1999. Saigon Times (2001) New pulp technology introduced, Saigon Times Daily. Samuelsson, R. (2001) Rolf Samuelsson, First Secretary, Development Cooperation, Swedish Embassy, Hanoi: Interview with Chris Lang and Noel Rajesh, 7 April 2001. Sayer, J. A. (1991) The Vinh Phu Pulp and Paper Mill, in Collins et al (1991). Shanks, E. (1994) The Vietnam/Sweden Forestry Cooperation Programme, in Shanks, E. and J. Carter (Eds) The Organisation of Small-Scale Tree Nurseries: Studies from Asia, Africa and Latin America. Rural Development Forestry Study Guide 1. Overseas Development Institute, London. Shephard, G. D. Brown, M. Richards and K. Schreckenberg (eds) (1998) The EU Tropical Forestry Sourcebook. London: Overseas Development Institute (funded by the European Commission). Sida (1998) A lasting partnership: Sweden-Vietnam 30 years. Embassy of Sweden, Hanoi, 17 December 1998. SIDA (1989) Guidelines for planning of a forestry sector cooperation programme between Sweden and Vietnam 1990/1995, Swedish International Development Authority, 10 October 1989: Annex A.
Sizer, N. (2000) Perverse Habits: The G8 and Subsidies that Harm Forest and Economies. Washington DC: World Resources Institute. June 2000. Stahl, P. (1990) Eucalypts for Pulp and Fuelwood Production in Northern Vietnam, Plantation and Soil Conservation Project, Interforest AB, 16 Nov 1990. Tan Mai (www 1) Tan Mai Paper Company, Tan Mai Paper Company web-site accessed 9 January 2002. Thomas, M. (1997) The Bai Bang Paper Mill, Report on a development consultancy, University of Western Sydney web-site accessed 30 March 2001. Ton Gia Huyen (1995) The 1993 Land Law and Land Policies, in Howard, C. (ed.) (1995). Toyotaro Fujiwara (1996) Where is the Industrial Plantation Business? in FAO (1996a). Tran Doan An (1999) Vietnam: Vietnam still pursuing expansion plans, Pulp and Paper International Annual Review. 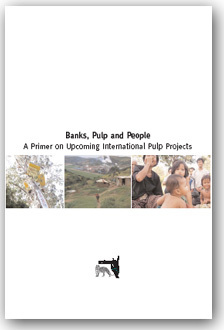 Tran Doan An (2001) Vietnam: Paper output grows stronger each year, Pulp and Paper International Annual Review. Trang Hoai Nghia (1995) Vice Manager of production Tan Mai Paper Mill, Bien Hoa, interview with Chris Lang, 20 May 1995. Truong Ngoc Thanh (1996) Planting Forest for Woodpulp Production for the Mangyang Paper Pulp Company, in FAO (1996a). UNDP (www 1) Donor-Government Partnership for the 5 Million Hectare Reforestation Programme of Viet Nam (status as of April 2000), United Nations Development Programme Vietnam web-site accessed 3 July 2000. UNDP (www 2) Forest Sector Support Program & Partnership (status as of December 2001), United Nations Development Programme Vietnam web-site accessed 20 March 2002. UNDP and FAO (1996) Smallholder Reforestation in Central Vietnam. Experisences from the implementation of UNDP/FAO project VIE/92/022 “Provision of Technical Assistance to WFP Project 4304: Reforestation in Central Vietnam”. United Nations Development Organisation and Food and Agriculture Organisation, Hanoi. US Department of Justice (1995) Northeast fax paper importer charged in justice department’s investigation of international price fixing, US Department of Justice. Usher, A. D. (1993) The Bai Bang Legacy, The Nation, Bangkok, 23 June 1993. Vietnam Economy (2001) Huge forest project moves ahead, Vietnam Economy circulated on enviro-vlc discussion group 13 October 2001. VET (1998) Touch Wood: Vietnam can’t produce enough paper pulp, Vietnam Economic Times, September 1998. Vietnam Panorama (www 1) Bai Bang Paper Operating over Designed Capacity, Vietnam Panorama web-site accessed 9 January 2002. VIR (2001) Forestry plans wither for lack of good land, Vietnam Investment Review, 17 April 2001. VN (1994a) New Oji Paper considers starting plantation business, Vietnam News, 19 March 1995. VN (1994b) Problems remain in paper industry, Vietnam News, 20 April 1994. VN (1994c) US$ 12m reforestation programme gets the country planting, Vietnam News, 25 June 1994. VN (1995) Raw material for paper industry – a burning question, Vietnam News, 7 May 1995. VNA (1999) Aerial seeding project carried out in Lai Chau and Son La Provinces, Vietnam News Agency, 20 June 1999. VNA (2000a) Paper Mill Starts Operation in Binh Duong Province, Vietnam News Agency, 23 May 2000. VNA (2000b) Agriculture minister warns against forest destruction, Vietnam News Agency, 1 December 2000. VNA (2001a) Forest product processing to become an economic spearhead, Vietnam News Agency, 10 January 2001. VNA (2001b) More international help for forest development, Vietnam News Agency, 11 June 2001. VNA (2001c) Paper industry unrolls expansion plan, Vietnam News Agency, 5 September 2001. Virta, J. (1996) Chairman of Jaakko Poyry Consulting, interview with Chris Lang, 30 August 1996. Vu Hoai Minh, Nguyen Van Tinh, Hans Warfvinge (2000) Task Force I: Clarification of the National Five Million Hectares Reforestation Programme, Partnership for the National Five Million Hectares Reforestation Programme, Hanoi, June 2000. Wolsfeld, P. (no date) Elof Hansson AB, Hoovers web-site accessed 30 March 2002. World Bank (1995) Forest Protection and Barren Lands Development, revised Project Information Document, World Bank, Hanoi, 25 October 1995. World Bank (2000) World Bank Projects, June 2000. WRM (1998) Vietnam: good old incentives for plantations, World Rainforest Movement Bulletin no. 14, August 1998. WWF (2001) WWF Newsletter. Vol. 7 No. 2.01, WWF Indochina Programme, Hanoi. January – March 2001. World Wood (1974) Swedish forest aid to North Vietnam, World Wood, 15 (11), October 1974. World Wood (1976) North Vietnam receives US$ 30 million, World Wood, 17 (11), October 1976. World Wood (1977a) Vietnam gets aid from Sweden, World Wood, 18 (7), June 1977. World Wood (1977b) Increased cost for Bai Bang, World Wood, 18 (1), January 1977.